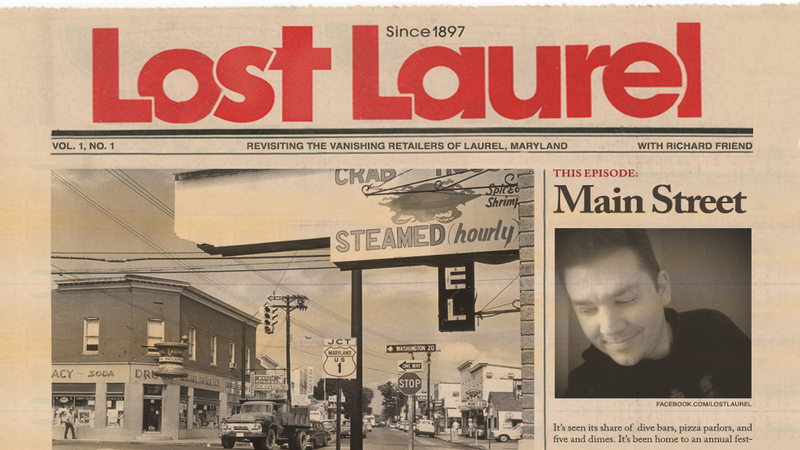 The second episode of Lost Laurel on Laurel TV is now on YouTube! 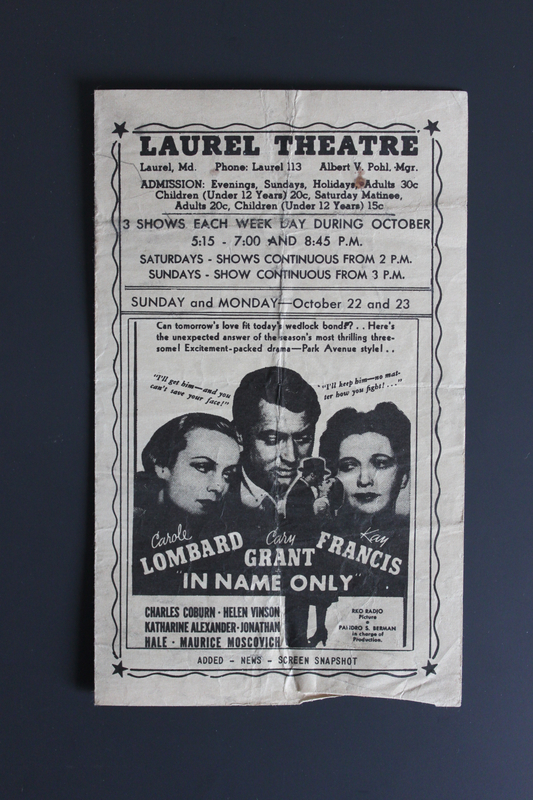 It’s a special Halloween episode, which Laurel TV has been airing locally every day this week at 4PM on their network. 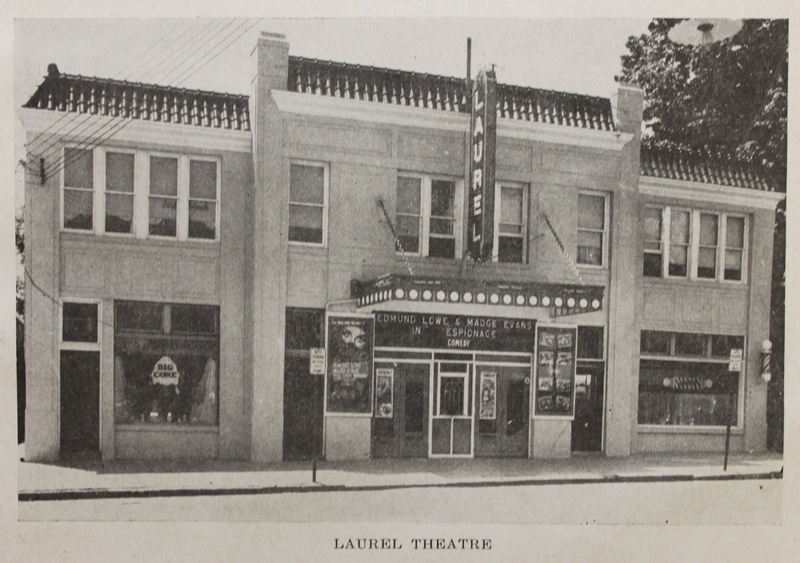 We get to meet Rich Blankenship, who operates Laurel’s House of Horror in the old Cinema at Laurel Shopping Center, and learn the history behind the movie theater and its recently-replaced marquee. 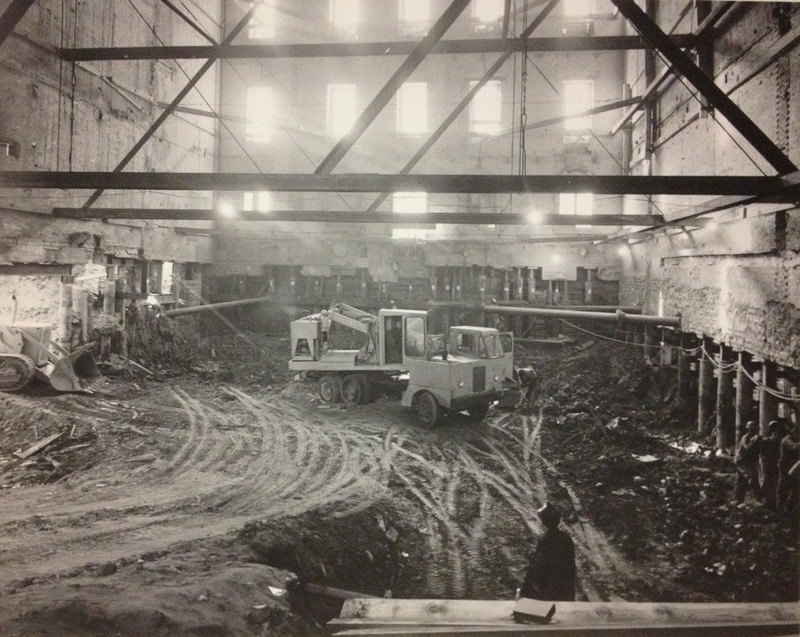 We touch on some of the ghosts of buildings past, including Fyffe’s Service Center. Learn about the allegedly haunted Bay ‘n Surf restaurant, and the bizarre murder that may have inspired the spooky stories. 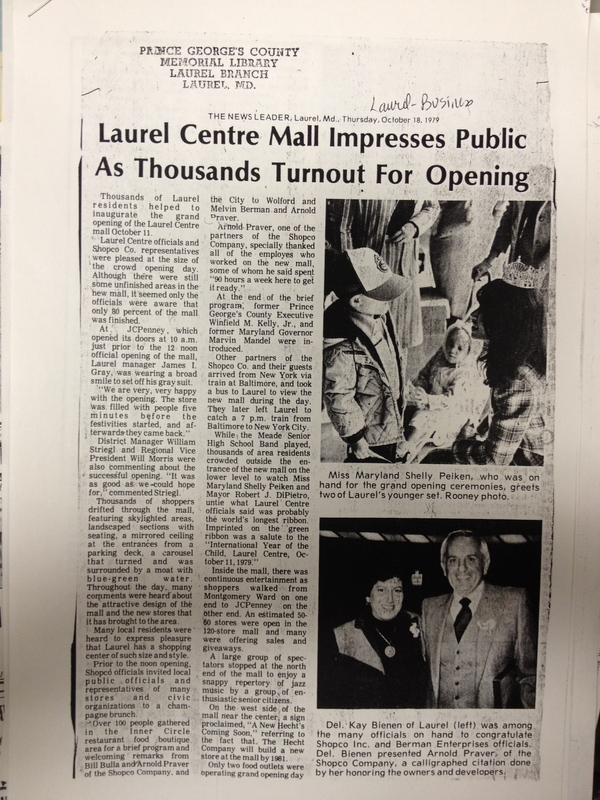 A tragedy at the 1980 Laurel Centre Mall Halloween Costume Contest, in which yours truly may or may not have inadvertently scared beloved Congresswoman Gladys Noon Spellman to death. 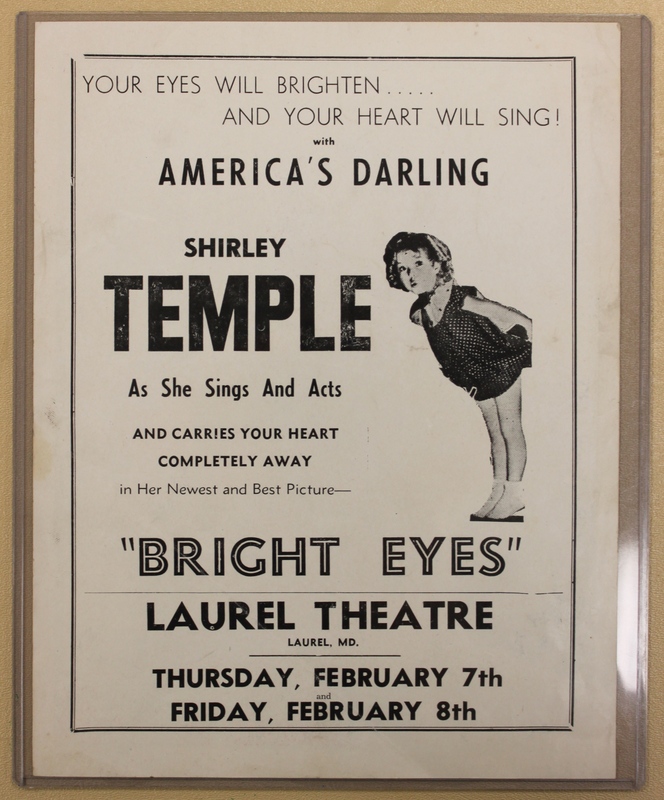 Laurel Leader “History Matters” columnist Kevin Leonard gives us the complete history of the notoriously creepy Laurel Sanitarium. 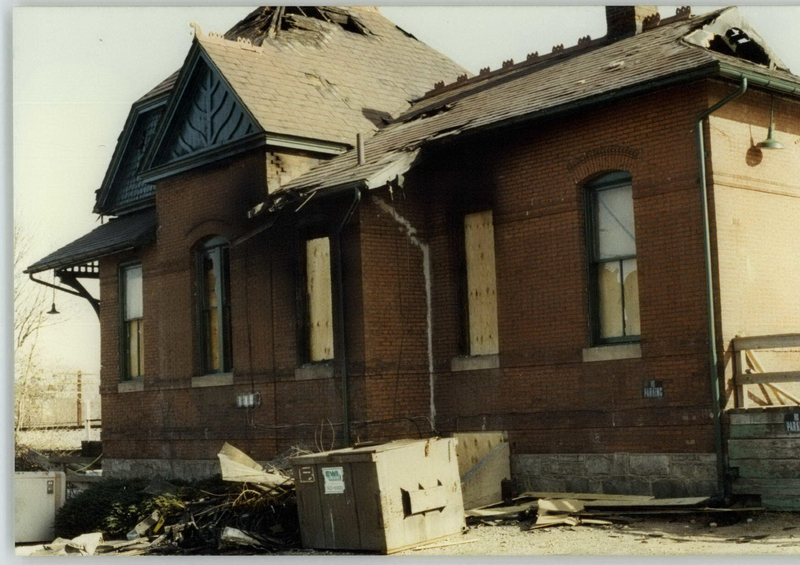 Was/is the Avondale Mill site haunted? The spectre of the Ninth Street Bridge, and James Ladenburg‘s amazing miniature replica of it. This was a fun episode to produce, and it’s wonderful to see some effects enhancements starting to come into play now that we’re getting the hang of things. Now that there are two shows, one of the recurring themes you might pick up on throughout the series is the opening title graphic. 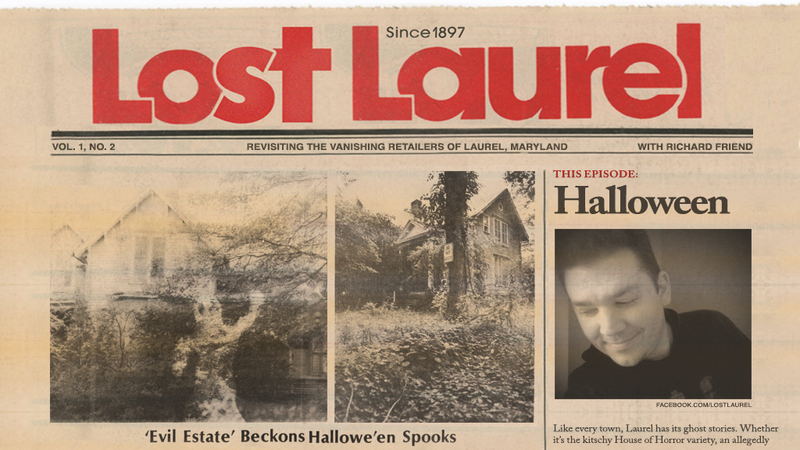 For each episode, I’ve designed a “newspaper” front page in the style of the Laurel Leader from when I grew up in the 80s. 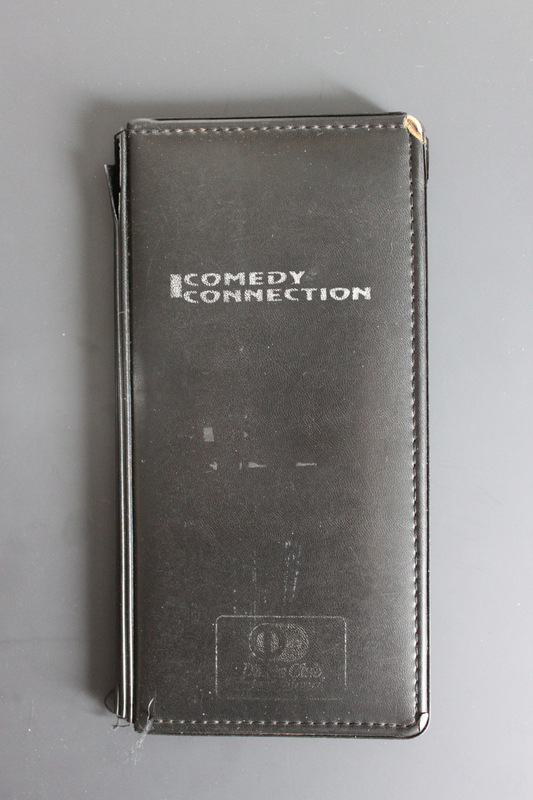 It sets the stage for whatever the theme will be, and makes for a functional way of cataloging the episodes. 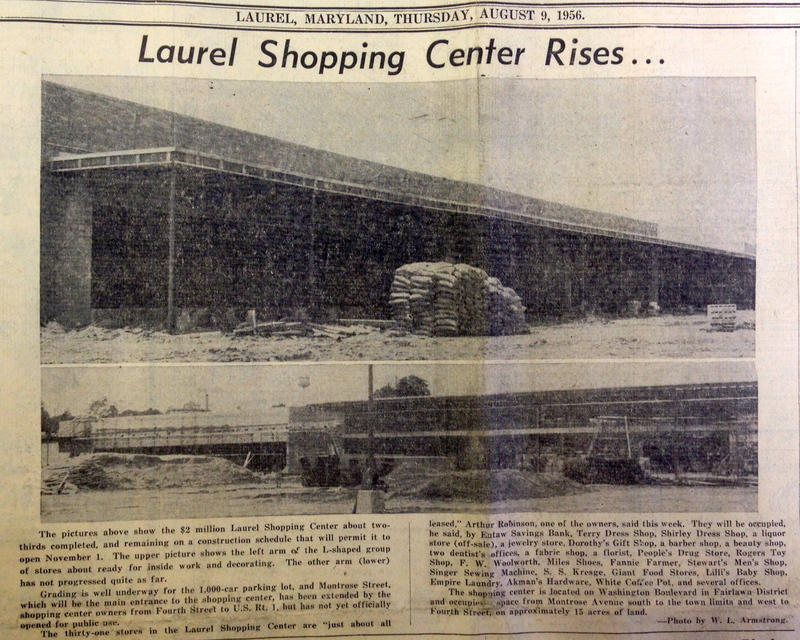 We’re already planning next month’s episode, which will actually be a two-part series covering the building of Laurel Shopping Center—and there are lots of great stories and photos to be included in that one. We’re In the News… and Then Some! 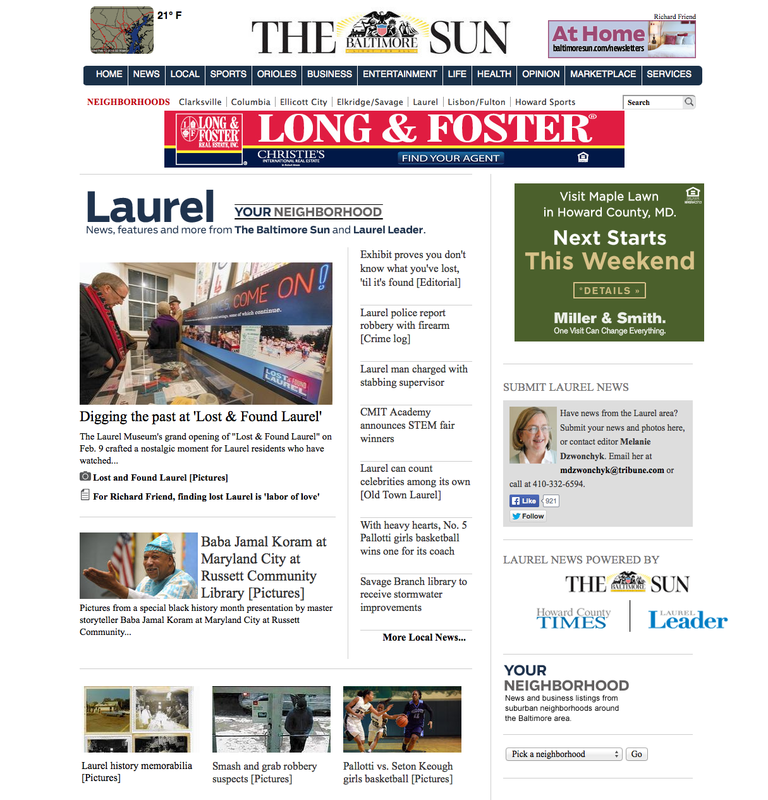 If you’ve been perusing the front page of the Laurel Leader‘s online edition this week, you’ve seen something extraordinary—a LOT of coverage of the new Lost & Found Laurel exhibit, which enjoyed a tremendously successful grand opening this past Sunday at the Laurel Museum! The Museum is open Wednesdays and Fridays from 10AM–2PM and Sundays from 1PM–4PM, and the exhibit runs until December 21st. And even if you’ve seen it once, you’ll want to go back—plenty of “new” pieces will be rotated in throughout the year. If you were around during the era of small racetracks that regularly hosted local races, demolition derbies, and monster truck events, you undoubtedly remember the radio announcer’s rallying cry of “Sunday! Sunday! 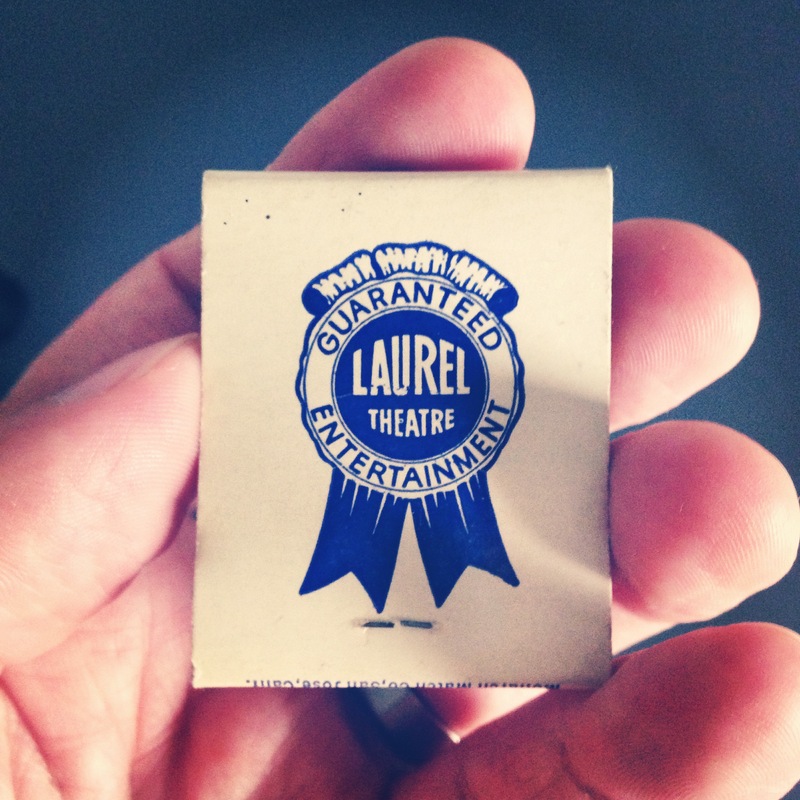 Sunday!” For Lost Laurel, tomorrow—Sunday, February 9th—is every bit as exciting. And then some. 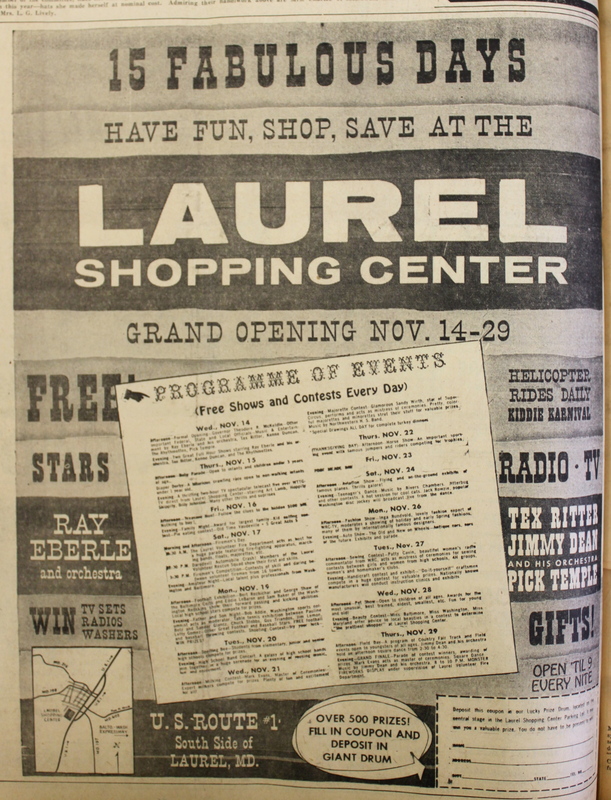 The Lost & Found Laurel exhibit has its grand opening tomorrow at the Laurel Museum from 1:00–4:00. 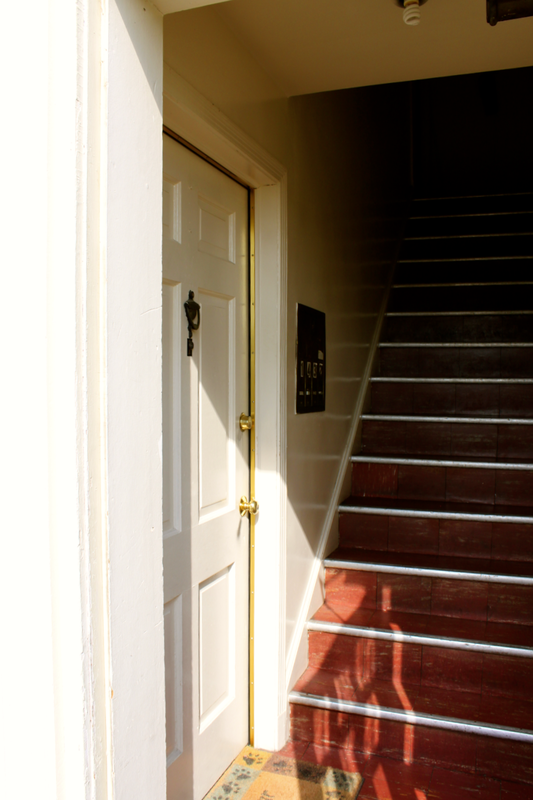 The museum, located in what is believed to be the oldest house in Laurel (dating to at least the 1840s, with some estimates going back to 1802) is at the corner of 9th & Main Streets. Admission is free. 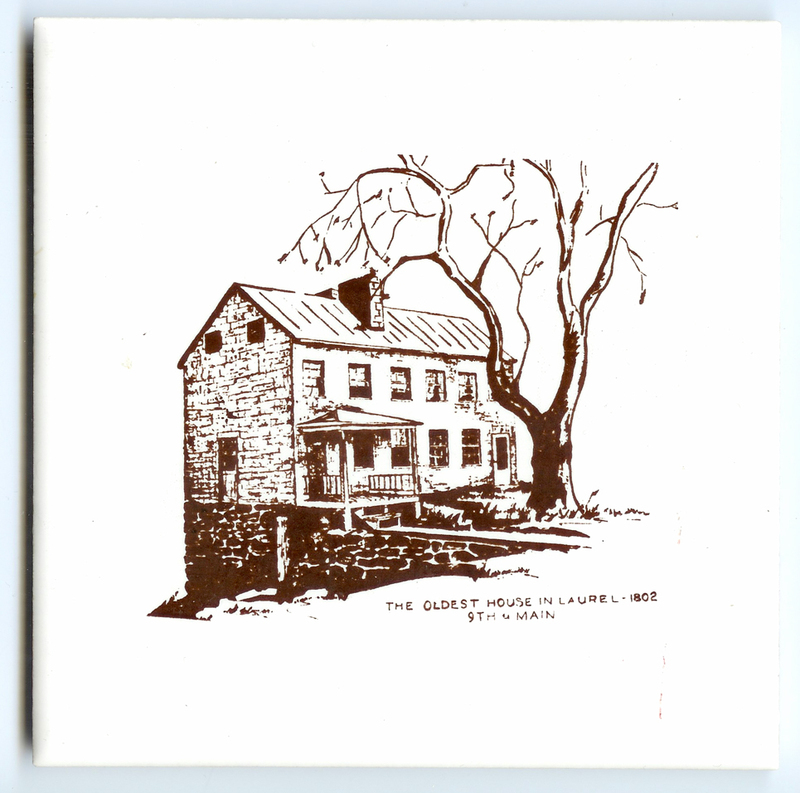 Even before it was the Laurel Museum, the oldest house in Laurel was a landmark. (Ceramic tile courtesy of Peter & Martha (Kalbach) Lewnes). While I did have the chance to get a few sneak peeks along the way, I’ll be experiencing the opening for the first time along with everyone else. When I was at the Museum last weekend, the exhibit panels had been printed but not yet installed, and many of the displays were only just beginning to take shape. 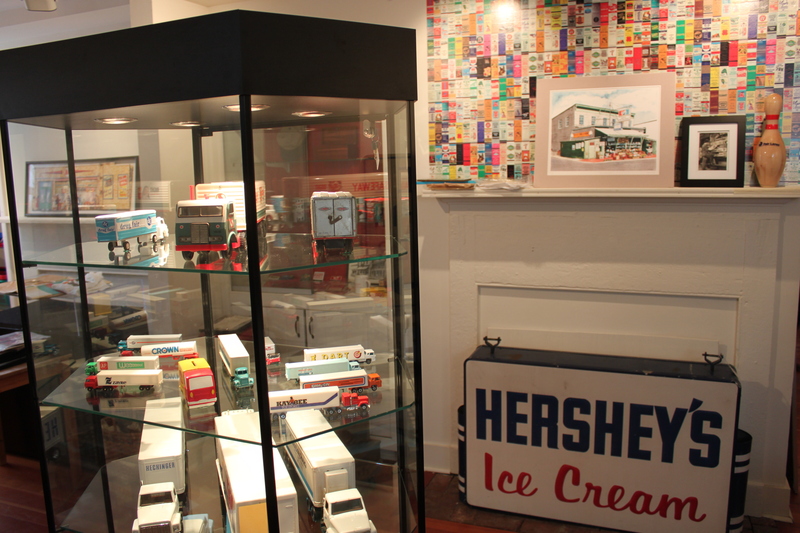 I won’t even attempt to list the full variety of things you’ll discover, but yes—that is the original Hershey’s Ice Cream sign that hung from Keller’s/Knapp’s Laurel News Agency for decades. Beside it (partially hidden behind the glass showcase with the fleet of Lost Laurel toy trucks) is the cash register from Cook’s Laurel Hardware. 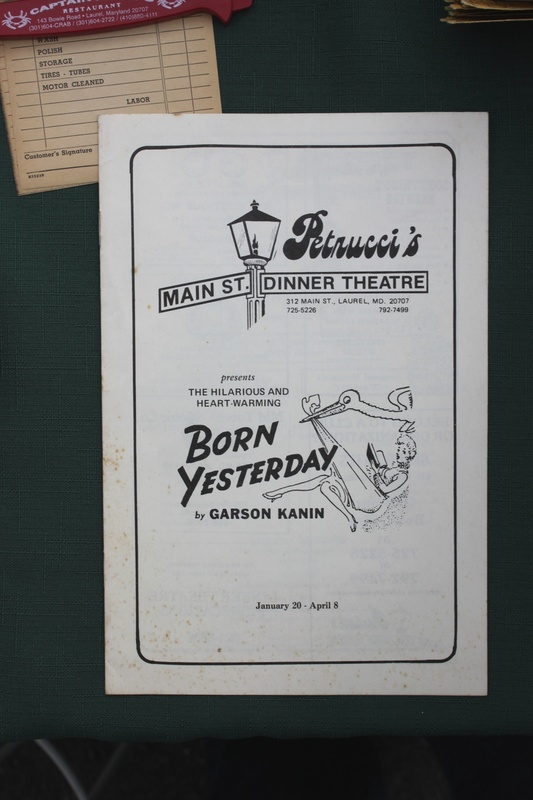 Both of these treasures have been in the Laurel Historical Society’s archives since the businesses closed. 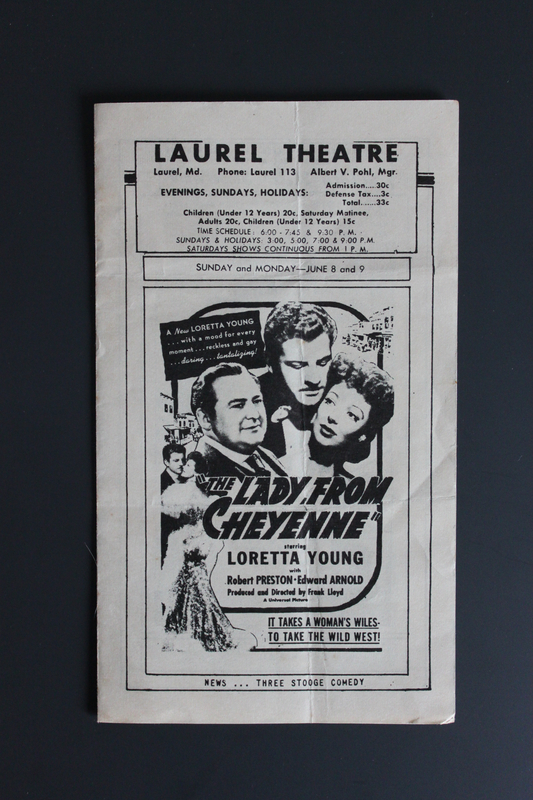 I also have an update on the Lost Laurel book, as we’re all anxiously awaiting the printed shipment. 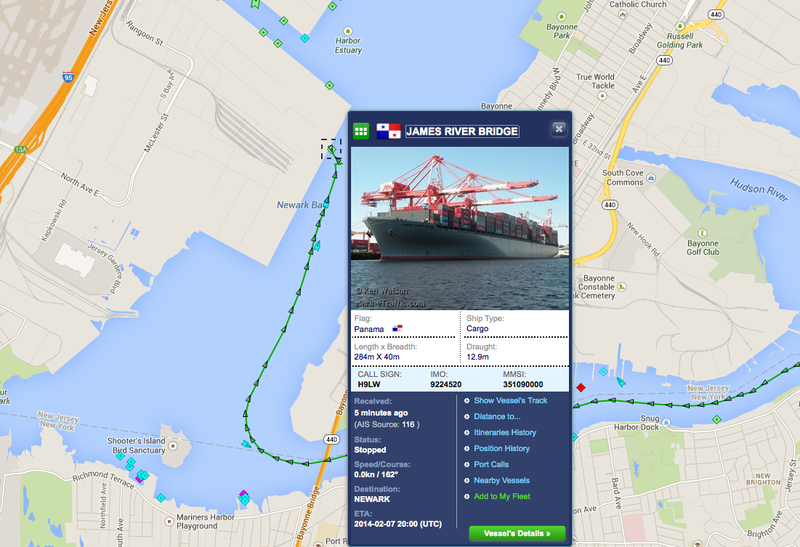 The cargo ship carrying the books arrived in New York yesterday, and I was told to allow an additional 7–10 days for customs clearance and delivery; so I’m expecting to have the books in hand the week of February 17th, at which point I’ll begin mailing out the pre-ordered copies. 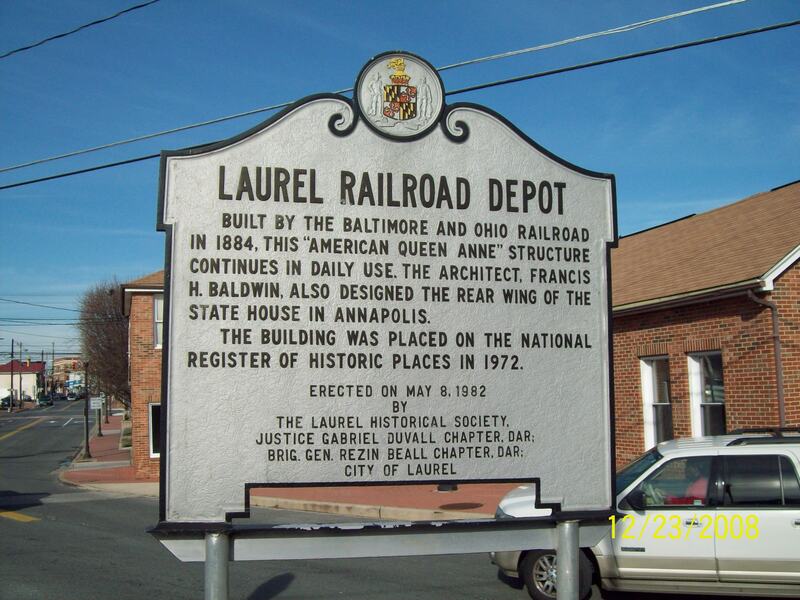 You can still pre-order copies right here, and I’ll also have copies available for sale at my “(Re)Collecting Laurel” presentation and book signing event on March 13th—a fun talk that I’m looking forward to as part of the Laurel Historical Society Speakers Bureau! But remember, you can also win one of the very first copies of the book at the grand opening tomorrow! I donated the two advance copies I’d received (one paperback and one hard cover edition) to the Museum for this purpose, so be sure to come out and take a chance! I look forward to seeing many of you there and hearing what you think about the exhibit! By now, you’ve probably heard that there was a ceremonial groundbreaking for the long-awaited, still-cryptic Town Centre at Laurel project Tuesday morning. 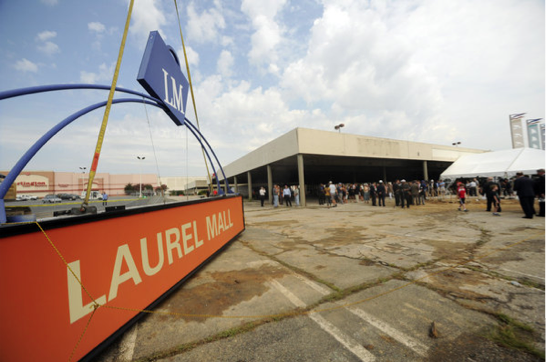 It took place along the southeast corner of the Laurel Mall site, near one of the many parking decks that had long sat closed—even before the mall itself closed. 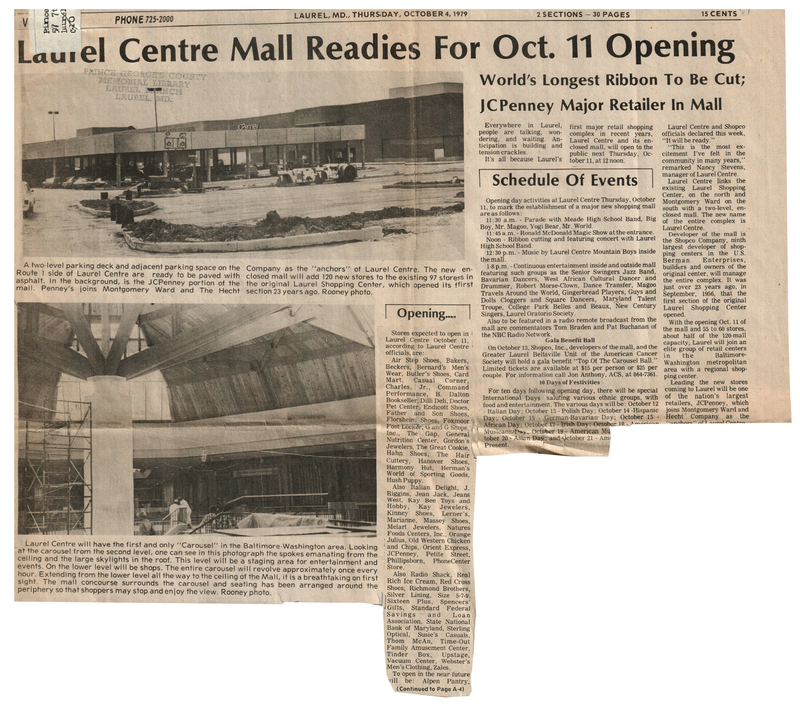 Besides the ceremonial shoveling of dirt, (by a number of “official” folks who, quite probably, have never actually used a shovel—but I digress…) the large, orange and blue “Laurel Mall” sign at the corner of Route 1 and Cherry Lane—erected sometime after 1991, when Laurel Centre changed its name and continued its downward spiral—was also ceremonially lowered to the pavement; as if to emphasize that, this time, it’s really going to happen. 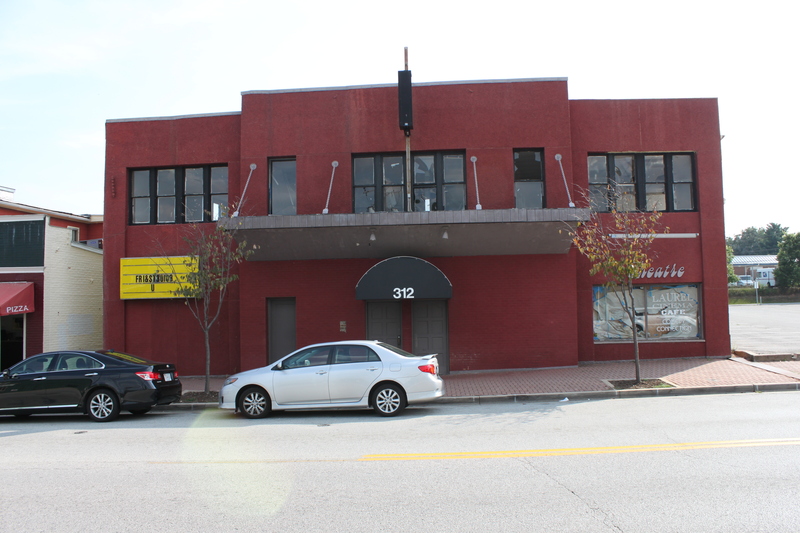 After years of talk, rumors, deals, and nixed plans by a seemingly endless list of owners, developer Greenberg Gibbons seems finally poised to reinvent the space in a positive way. The only–er, main problem seems to be the continued lack of high-end prospective tenants—something the developers have been maddeningly coy about since the project was first announced in March 2011. As of this writing, only Burlington Coat Factory, (the lone-surviving tenant of Laurel Mall) Harris Teeter, and Regal Cinemas are the proposed anchor stores. Proposed—meaning that even they’re not finalized yet. A public announcement last week about the “invitation-only” groundbreaking event also didn’t exactly ingratiate the developers with, well, those of us who weren’t invited. 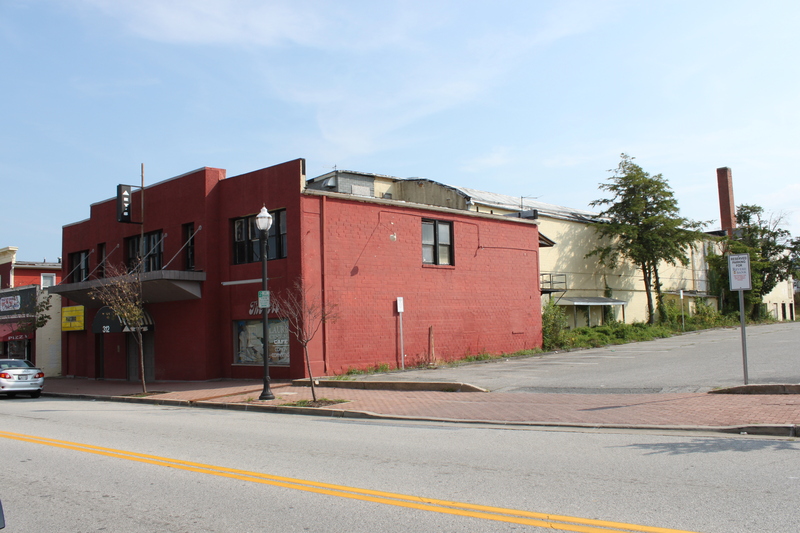 In their defense, however, until those decrepit parking decks are actually brought down, I’m sure the prospect of having even one person get injured on the property is enough to give their legal department a nervous breakdown. 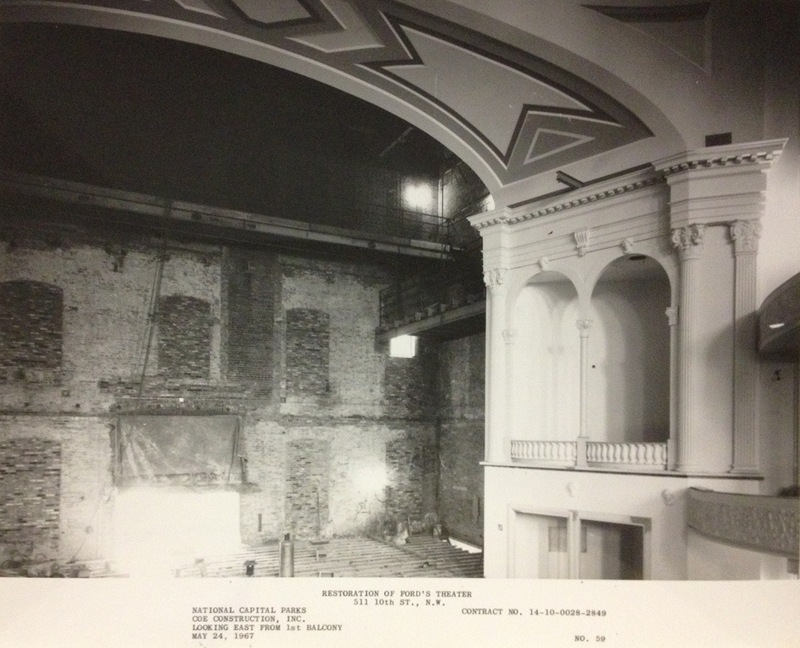 I was told that as the project progresses, there will indeed be public events. 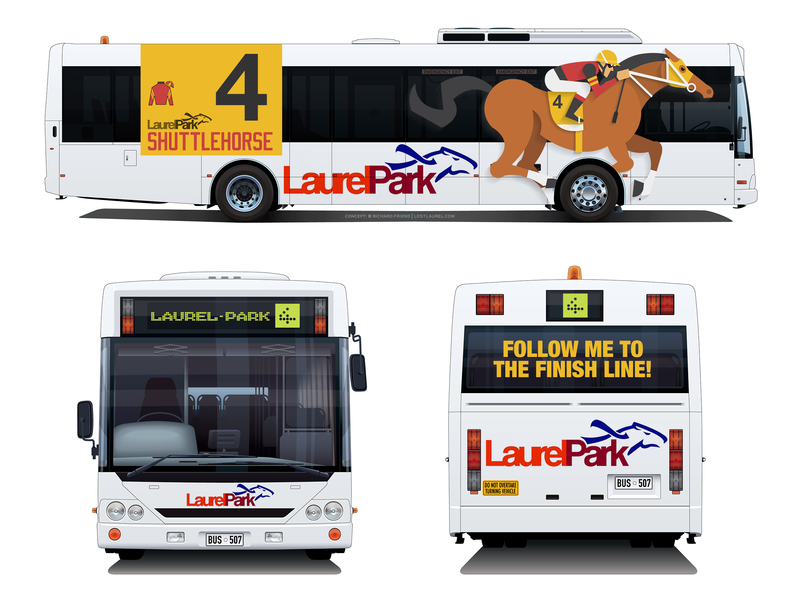 While I do believe that Town Centre at Laurel has the potential to be a very well-designed and positive change for the community, the contrast between the anticipation of this major development and its predecessors is enormous. 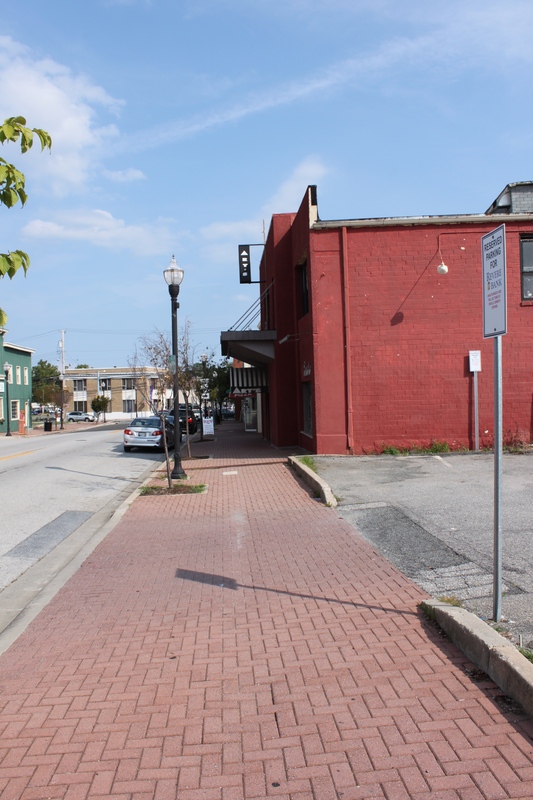 Granted, the developers of Laurel Shopping Center and Laurel Centre Mall didn’t have the years of mismanagement and failed promises to deal with. 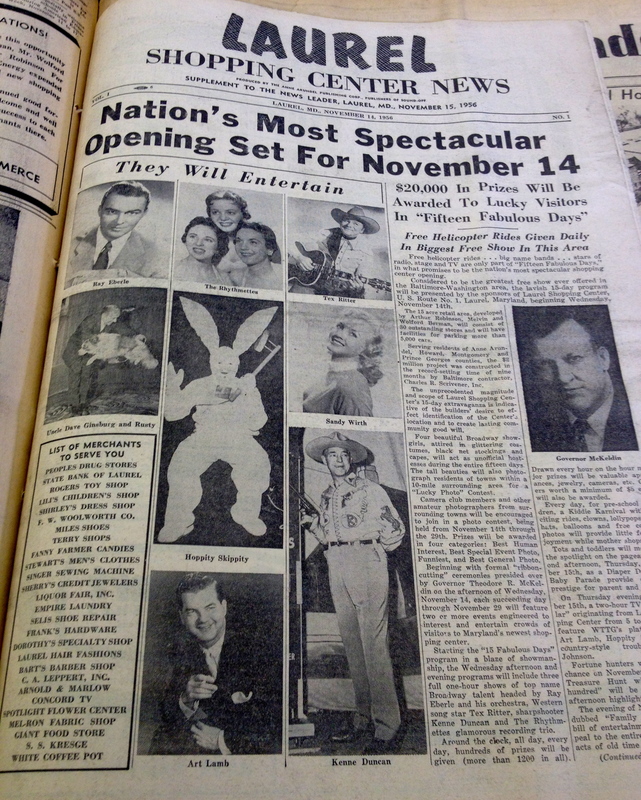 But the communication they shared with the public from the very beginning played a key role in generating the interest and excitement that’s still palpable in the old newspapers that covered their grand openings. 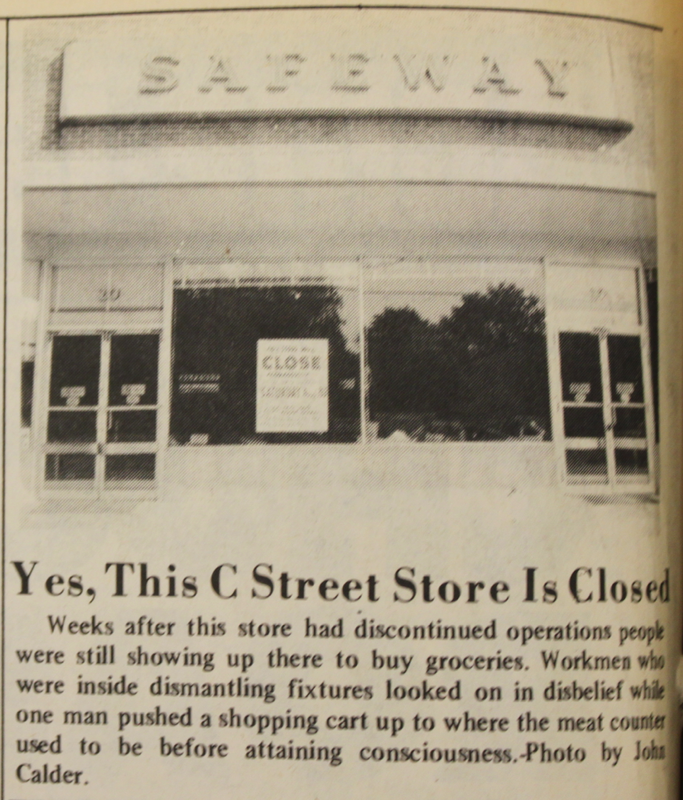 Not to mention, nearly all of the stores were leased before construction even began. 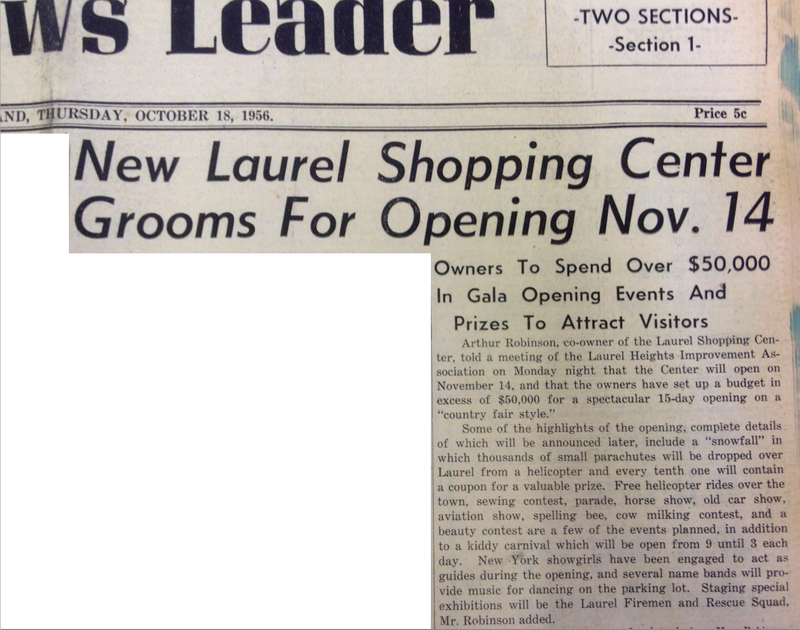 As we look back at its predecessors, let’s hope that the grand opening of Town Centre at Laurel—whenever it may be, and with whomever actually occupies it—turns out to be even half as exciting. Stefanie Watson: What Really Happened 30 Years Ago? Let me preface by saying that this post is quite a bit different than the others, and comes with the proverbial “viewer discretion advised” warning. 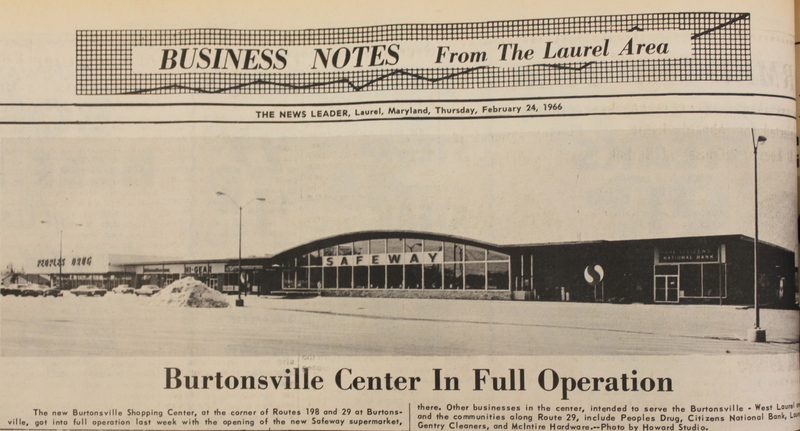 While it doesn’t focus on a lost business or restaurant per se, it’s a tragic story still quite relevant to Laurel’s retail history. For me, at least—because the “Missing Person” flyers I saw at Zayre, the mall, restaurants, gas stations, drug stores, and nearly everywhere else in Laurel as a child thirty years ago this week have certainly stayed with me. And a large part of what has fascinated me about this incredibly disturbing case—which remains open to this day—is how very little has actually been written about it in the thirty years since. 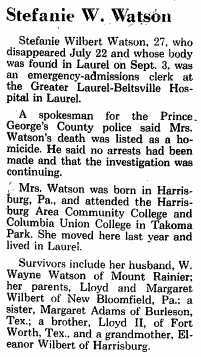 Like most Laurel children in 1982, I first heard about the Stefanie Watson case in brief, sanitized tidbits from my parents. It was scary stuff, to be sure—even for adults. 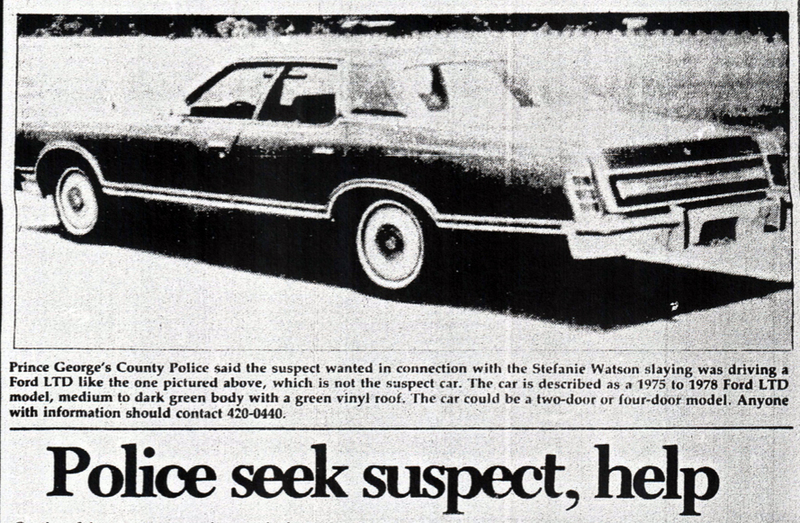 Rumors and speculation abounded in the days and weeks after 27-year-old Stefanie Watson mysteriously vanished on July 22, 1982. 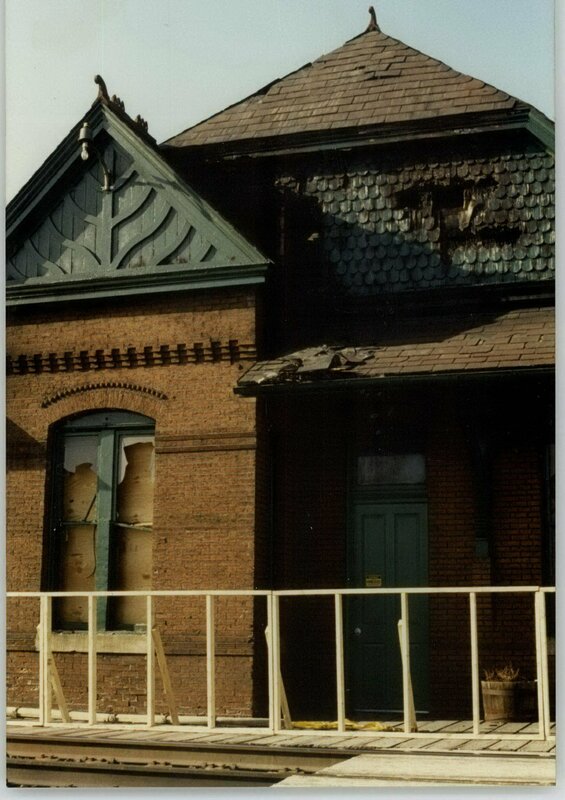 The general “facts” as I knew them at the time were stark… and terribly grim: she had worked at the Greater Laurel Beltsville Hospital; her car was found near Laurel Centre mall several days later, saturated with blood; and even more chilling, her head was discovered over a month later in the woods at the end of Larchdale Road. That’s all I knew then, and that’s really all I’d known ever since, until I began to revisit the crime myself earlier this year. 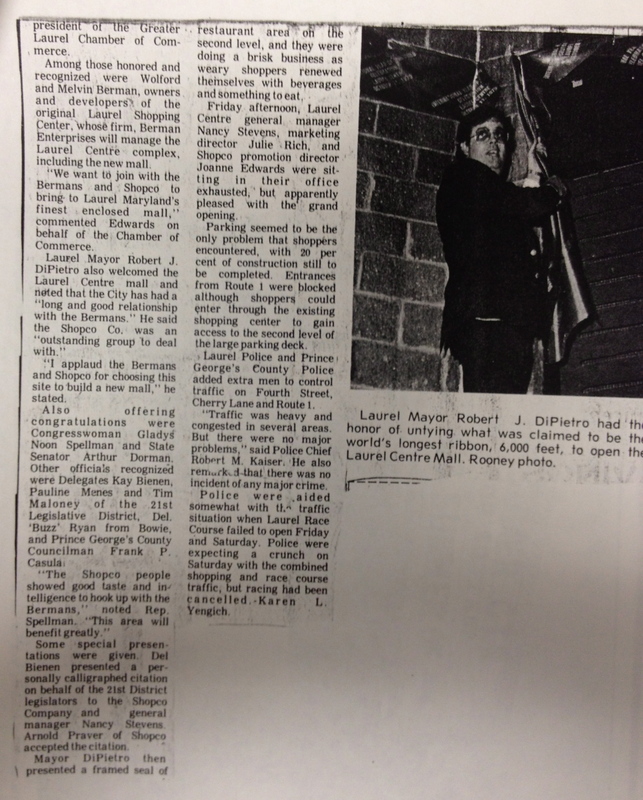 I imagine the details of Stefanie’s name and face have faded from some memories over the past three decades, but I’m positive that anyone—like me—who lived in Laurel at the time of her murder has never truly forgotten. 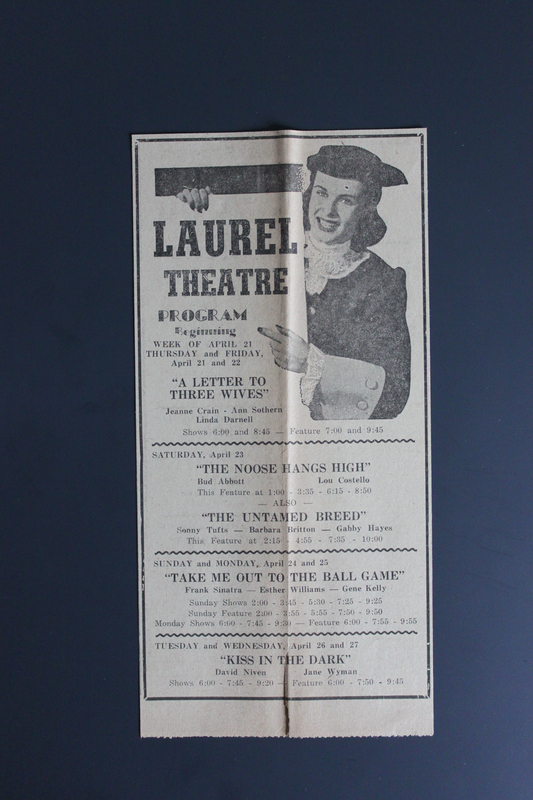 I was too young to read the newspapers or listen to the news reports, but word spread fast throughout Laurel in the wake of Stefanie’s disappearance. School was out for the summer at the time of her apparent abduction, but with the grisly skeletal discovery on September 3rd, I can remember Deerfield Run Elementary being on high alert. Letters were sent home to parents, advising caution—particularly for those who walked to school. Her murder came on the heels of the high-profile abduction and decapitation of young Adam Walsh just one year earlier. Deerfield Run administrators had sent letters home to parents then, as well. I didn’t know it at the time, but one of the last places Stefanie Watson had been seen alive on July 22nd was at the Town Center Shopping Center, just a short walk away from my school on Rt. 197 and Contee Road. That summer, I saw the missing person flyer often. 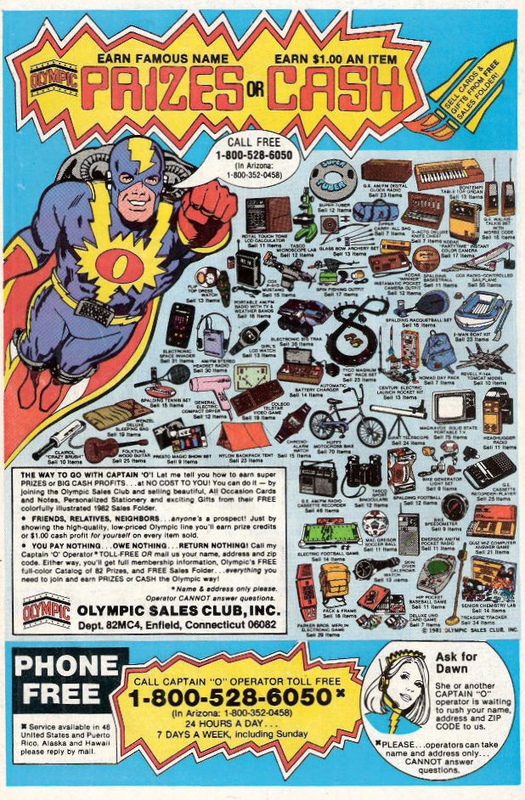 I can still envision it taped to the front entrance window of Zayre, where I frequently stood for hours, hawking the wares of the fabled Olympic Sales Club—from whom I hoped to win the equally fabled prizes or cash. That was one of my first “jobs”, selling these Olympic greeting cards and gifts. 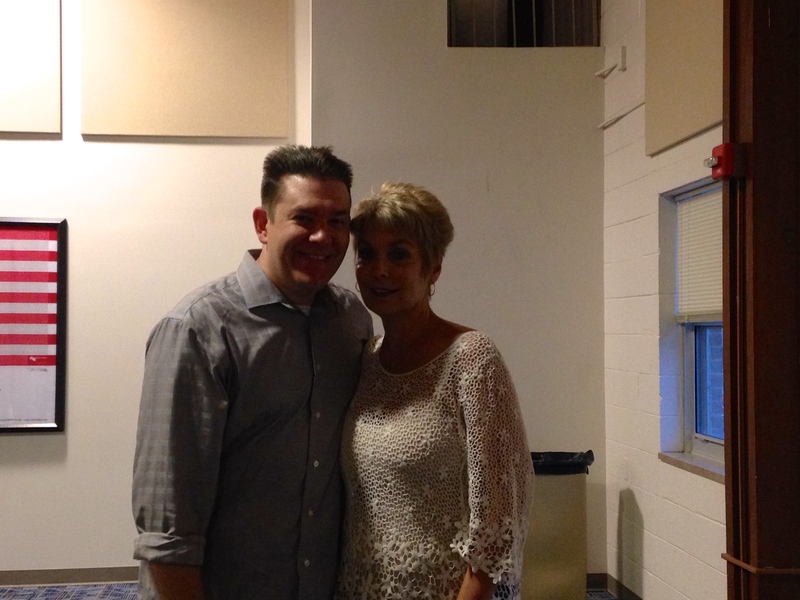 After canvassing every building in Steward Manor, I ventured over to Zayre to catch people as they entered. It was during the frequent lulls of approaching Zayre customers (i.e., unknowing prospective Olympic Sales Club customers) that I couldn’t help staring at the Stefanie Watson flyer; I’d read it again and again, trying to grasp what could have possibly happened to the pretty lady whose photo seemed to watch over me protectively as I timidly repeated my sales pitch to strangers—any of whom, I feared, could’ve been the person responsible for her disappearance. I walked to Zayre from Steward Manor nearly every day that August to make my sales, and Stefanie Watson’s smiling face was always the first and last thing I saw there. 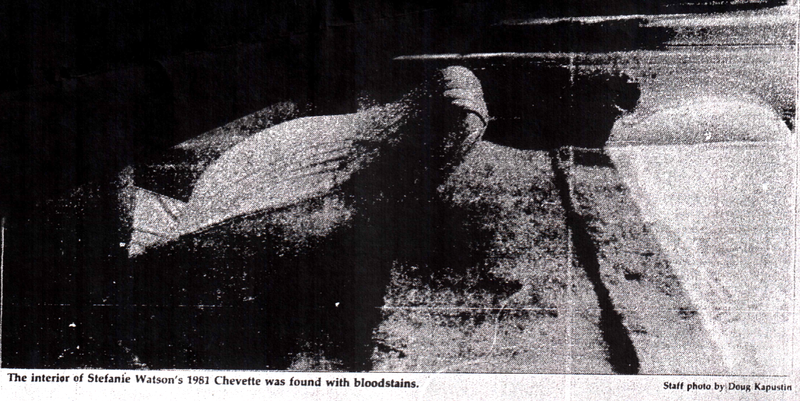 When Stefanie’s 1981 Chevette was discovered in the Middletown Apartments parking lot the Monday after her disappearance, my Steward Manor friends and I knew about it before our parents did. Some of the “big kids” had been at the mall and witnessed the flurry of police activity across 4th Street. Some ventured close enough to see the blood—and they eagerly told us what they’d seen. They were convinced, as would soon be the police, that Stefanie wasn’t going to be found alive. The gruesome drama seemed to be unfolding in three acts over the course of that summer: Stefanie’s disappearance and the grisly discovery of her car were acts one and two, respectively. The third and final act came on September 3rd, when police recovered partial skeletal remains—which they delicately conceded was only the head of the victim. That shocking find was made in the wooded area at the dead end of Larchdale Road—a location that would once again haunt me some four years later during yet another childhood summer job. I was a paperboy briefly for The Washington Post, and my pickup point was outside James H. Harrison Elementary—on Larchdale Road—at midnight. 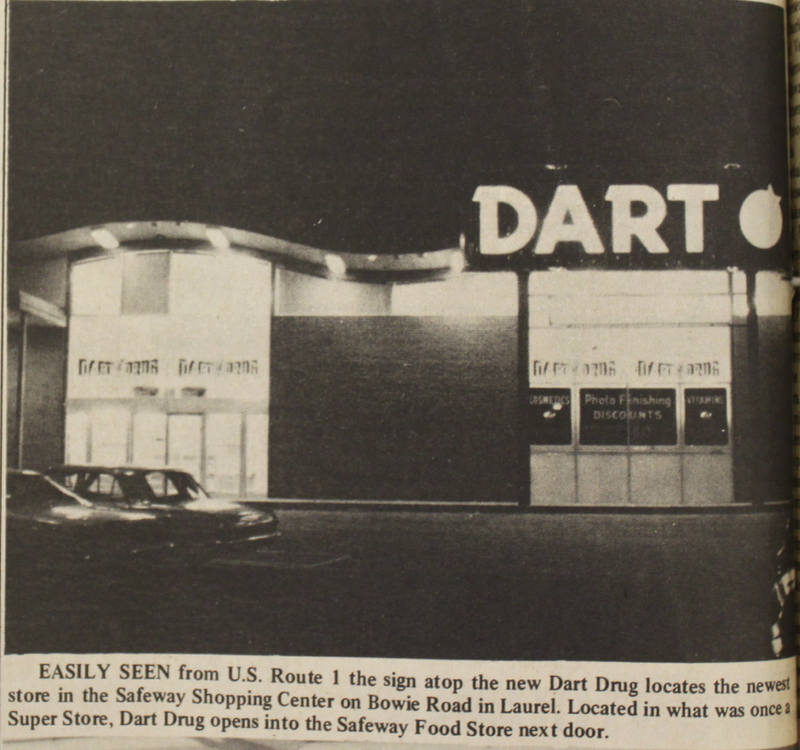 Few experiences before or since have unnerved me as much as sitting there alone in the dead of night under that fluorescent din, hurriedly stuffing newspapers into plastic bags less than 100 yards from where Stefanie Watson—her head, at least—had been found. Yes, Stefanie Watson crossed my mind quite often that year. But then the years began to pass. 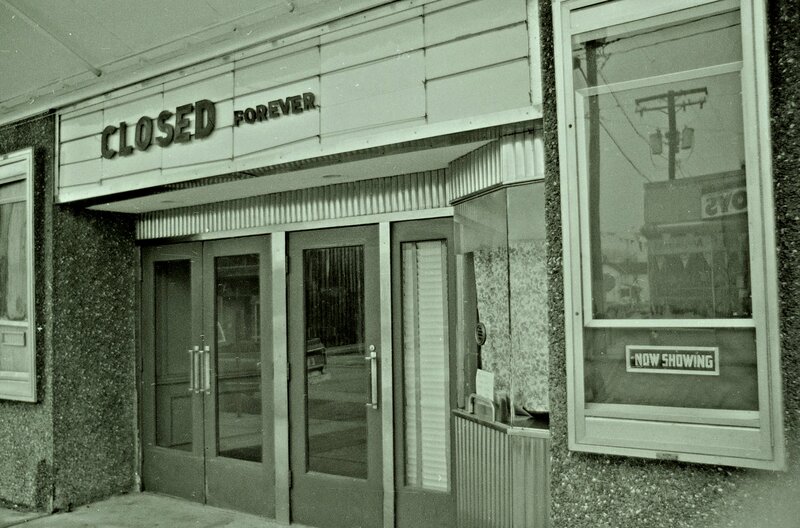 Decades passed, in fact. As far as I knew, nothing else had ever come of the Stefanie Watson case. No one was ever charged with her murder; and worse, the rest of her body was never recovered. 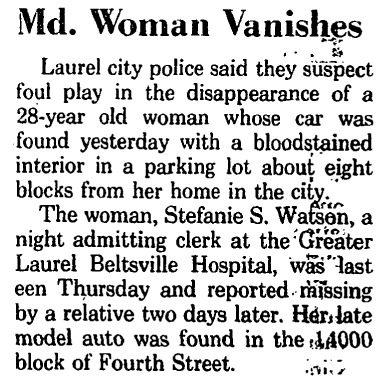 At some point during my research for Lost Laurel, the spectre of Stefanie Watson’s murder once again creeped into my mind. Still curious after all this time, I began to search online for anything related to her case—news articles, updates, blog postings—anything. I was surprised to find only one single website that even mentioned Stefanie Watson—and despite best intentions, it had misspelled her name and stated the facts incorrectly. A footnote buried deep within an online memorial page for Maryland homicide victims. Sadly, that was all that seemed to be left of Stefanie Watson. I found it hard to fathom that such a shocking crime could go so long without at least some kind of press coverage, especially when you stop to consider the almost Hollywood-like circumstances of her murder. On paper, the case reads like a James Ellroy novel: a beautiful, young blond woman fails to show up for her last night at work before leaving town… After going missing for nearly a week, her bloodstained car is found; and several weeks later, only a partial skull is recovered. There are no apparent suspects, no arrests, and the crime quickly falls into the cold case files. To put it even more bluntly, a woman is decapitated—in a peaceful, middle-class DC/Baltimore suburb, and this crime goes virtually unmentioned all this time? Are you kidding me? This should’ve been on CNN and on magazine covers across the country. Books should’ve been written about this. Knowing that the 30th anniversary of Stefanie’s murder was approaching, I finally started looking into it in earnest myself. I began by speaking to friends and acquaintances who remembered the events of 1982 at least as well as I do. 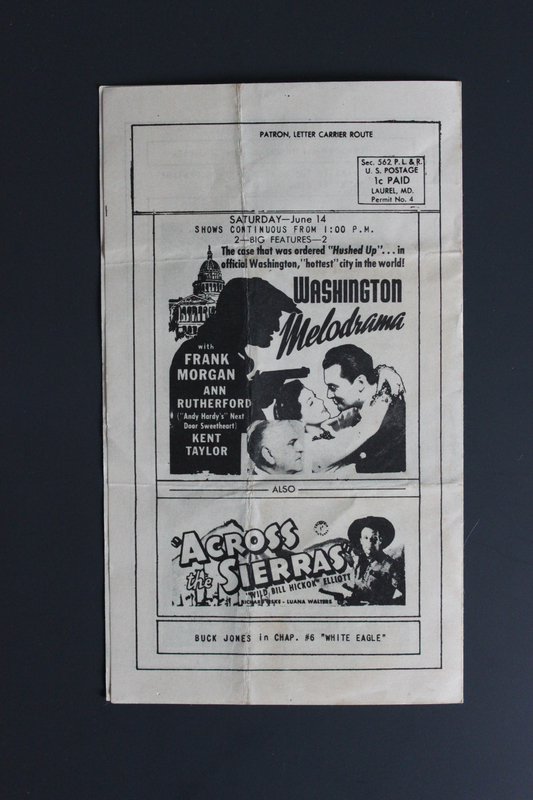 Online, I was only able to find brief articles in the Washington Post and Baltimore Sun‘s archives, but a treasure trove came via the Laurel Leader on microfilm. 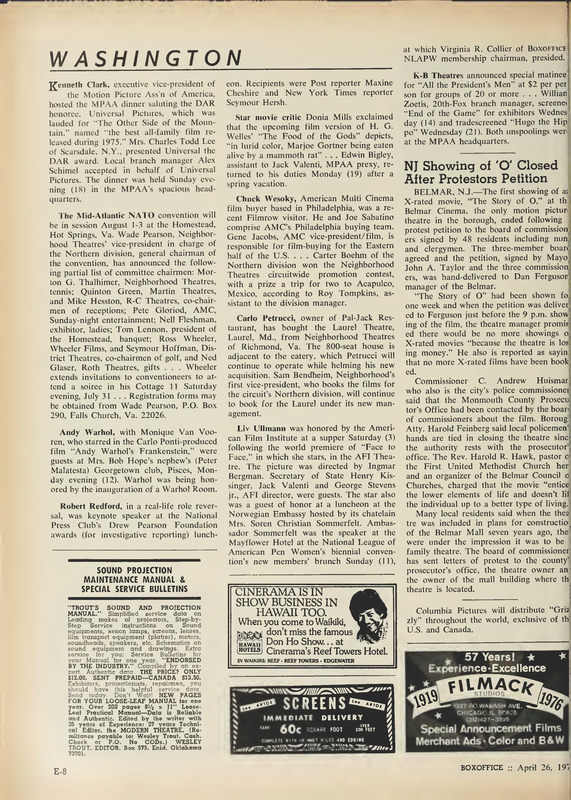 There, on the analog monochrome screen at the Laurel Library, was the full weekly saga from July to September 1982. 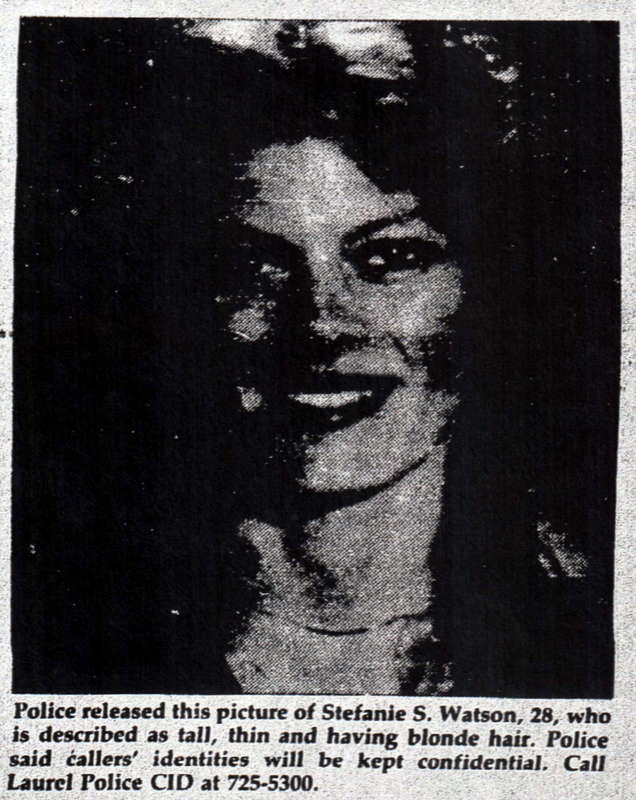 I was about to discover the Stefanie Watson case all over again—reading the details as they emerged that harrowing summer thirty years ago. 1. Who Was Stefanie Watson? She was born Stefanie Wilbert in Harrisburg, PA in 1955, and was 27 years old at the time of her disappearance. A graduate of Central Dauphin East High School in Harrisburg, Stefanie had also attended Harrisburg Community College. She came to the Washington, DC area to attend Columbia Union College (now Washington Adventist University) in Takoma Park in September 1981, and settled in Laurel after her brief marriage to W. Wayne Watson ended in separation. (Mr. Watson was quickly and definitively ruled out as a suspect). 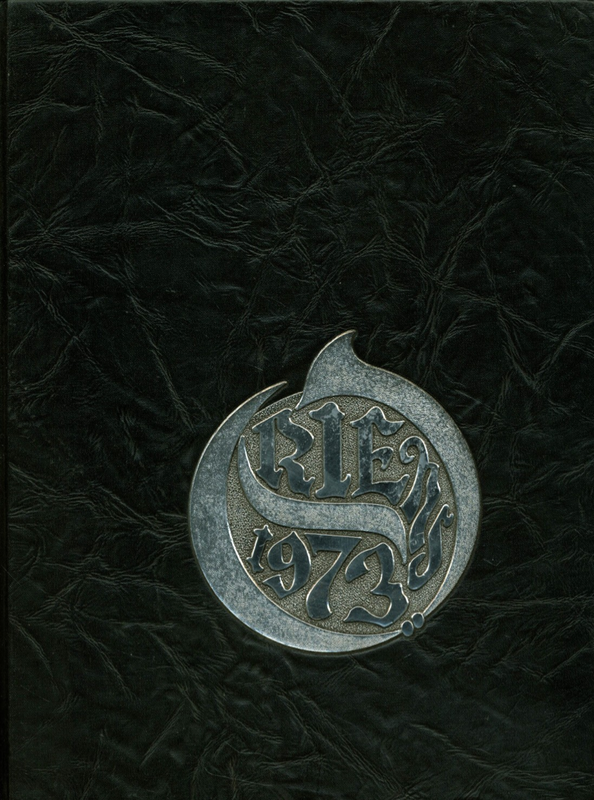 Stefanie’s 1973 high school yearbook; the year she graduated. 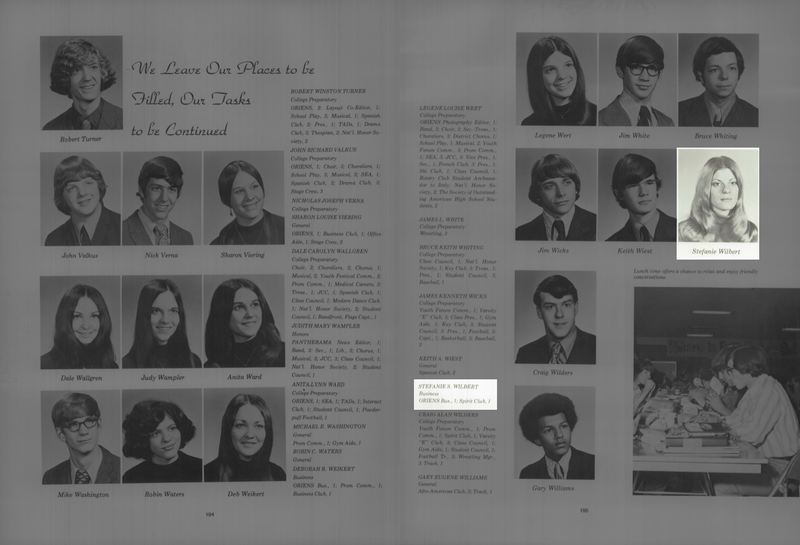 Stefanie’s senior yearbook photo, 1973. 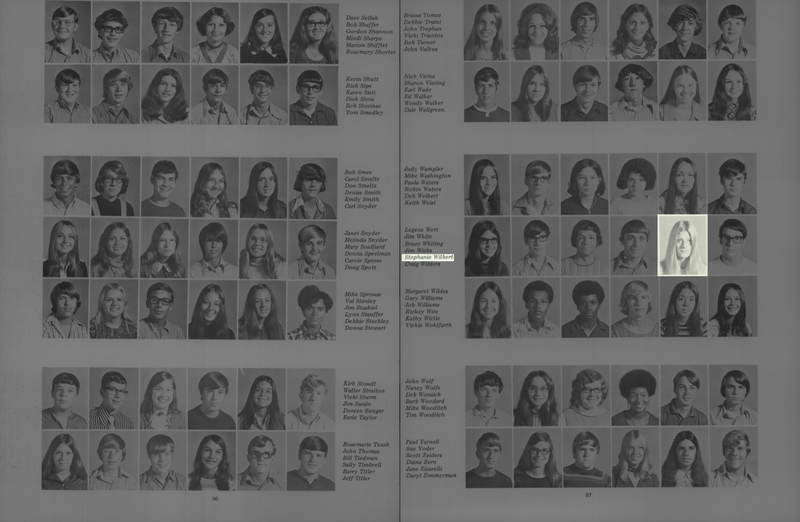 Stefanie’s first name was commonly misspelled, as her previous yearbook photo (1972) attests. Stefanie held a number of jobs, working as a clerical typist and in a dentist office prior to becoming a night admitting clerk in the busy emergency room at Greater Laurel Beltsville Hospital—a job that she rightly considered much more than simply filling out insurance forms. Colleagues recalled that she never failed to console families of the sick and injured, bringing them coffee and allowing them the chance to talk about their anxiety and grief. 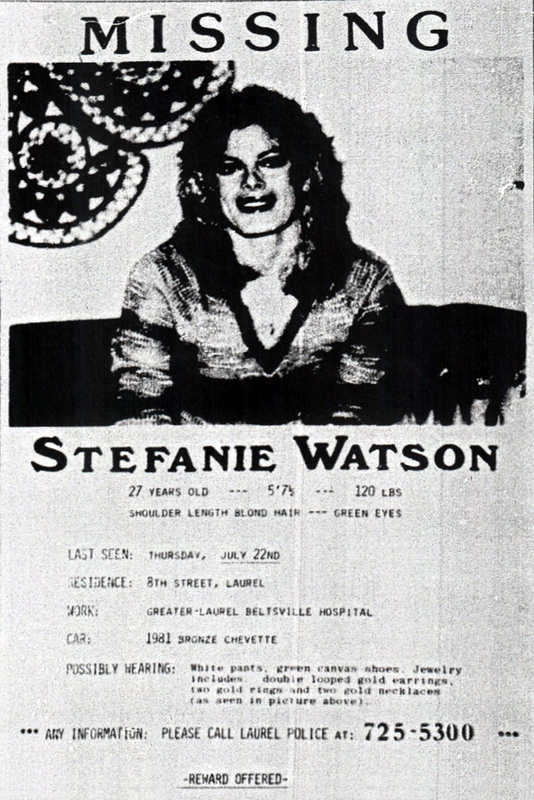 One staff doctor noted the countless cases of “gratuitous and senseless violence” that the emergency room saw on any given night shift; and that Stefanie Watson was always “caring and concerned for all the people she met… ingenuous and never cynical,” even when patients or their families seemed undeserving of her patience and thoughtfulness. 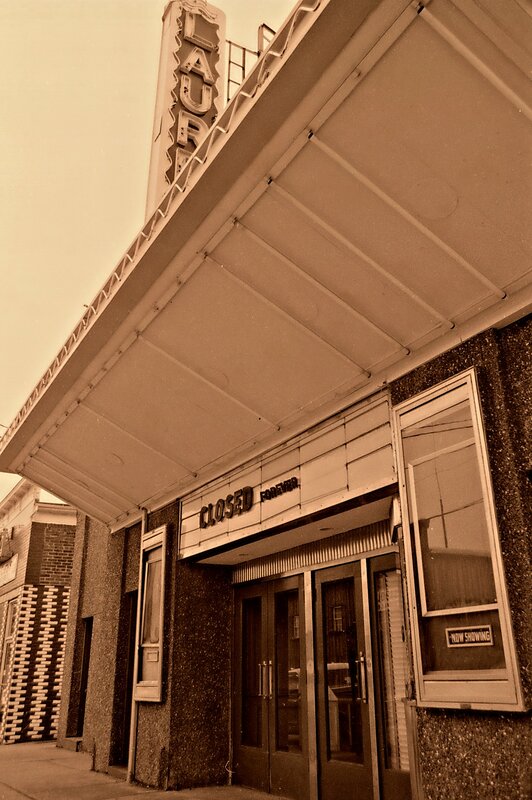 In Laurel—the town experiencing a renaissance of sorts in 1981, with the recent opening of Laurel Centre Mall, the newly-restored Main Street, and the advent of the annual Main Street Festival—Stefanie found a place to heal the wounds of her broken relationship. She lived alone with a large dog at 304 8th Street, Apt. 1.—a short drive from her job at the hospital. While Stefanie had worked there for nearly a year when she went missing, few of her hospital coworkers had gotten to know her particularly well. Still, it was these colleagues who created the missing person flyers, and with the cooperation and approval of Laurel Police, distributed them to practically every local business in sight. As they did so, a surprising number of people actually recognized Stefanie’s photo from her job at the hospital, and immediately recalled her kindness at times of their own personal crises. Stefanie’s coworkers had given her a going-away party at the hospital on Wednesday, July 21st—the night before her disappearance. 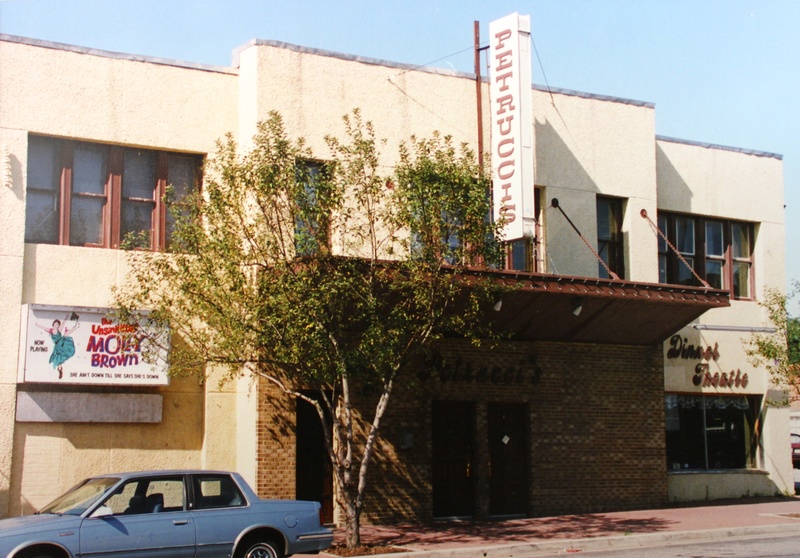 She had made the difficult decision to move to Fort Worth, Texas, where she was to begin working at the Medical Plaza Hospital on August 3rd. Stefanie’s relatives said that her decision to leave Maryland was made because she wanted to be closer to her brother and sister’s families, both of whom lived in Texas. She was also looking forward to getting to know her five young nieces and nephews, the youngest having been just six months old at the time. Stefanie was planning to leave for Texas on Monday, July 26th. Instead, that would turn out to be the day that her blood-stained car would be found on Fourth Street. According to police reports, Stefanie was seen multiple times on Thursday, July 22nd—more than the Washington Post‘s report of her having last been spotted alive at the hospital that afternoon, when she picked up her paycheck. 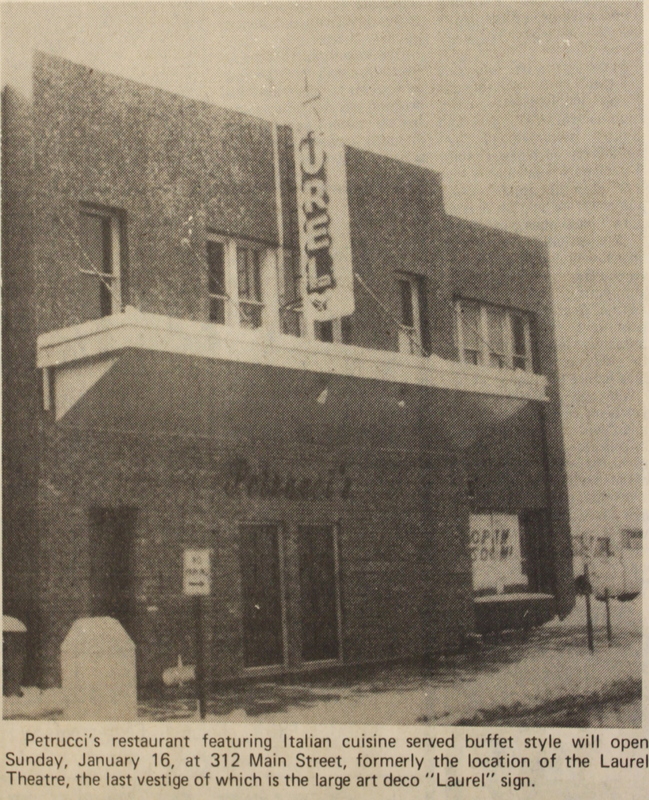 In fact, the Laurel Leader later reported two additional key sightings as confirmed by police: one by a hospital coworker who saw Stefanie at a bank at Town Center Shopping Center on Route 197 and Contee Road that afternoon (perhaps depositing the paycheck she’d picked up earlier at either the Citizens National Bank or John Hanson Savings and Loan that were in the shopping center at that time); and the other, more crucial sighting—detectives established that she was actually last seen at 9:00 PM, leaving her apartment. Whatever happened to Stefanie occurred that night, after 9:00 and before she was due to report to her final night shift at the hospital. After six long weeks of speculation and angst, the worst fears of Stefanie Watson’s relatives, friends, and all of Laurel were confirmed. On Friday, September 3rd, police discovered “partial skeletal remains” in the wooded area at the dead end of Larchdale Road. Initial reports stated only that it was a citizen who made the grisly discovery, and on Tuesday, September 7th, the Maryland Medical Examiner’s office confirmed that the remains were indeed those of Stefanie Watson. Positive identification was made with dental records, according to then Laurel Police Lt. Archie Cook, who had headed the investigation to that point. He tactfully declined to elaborate on the physical condition of the remains, only to say that various television reports—likely about the partial skeletal remains being only the head—were unconfirmed. 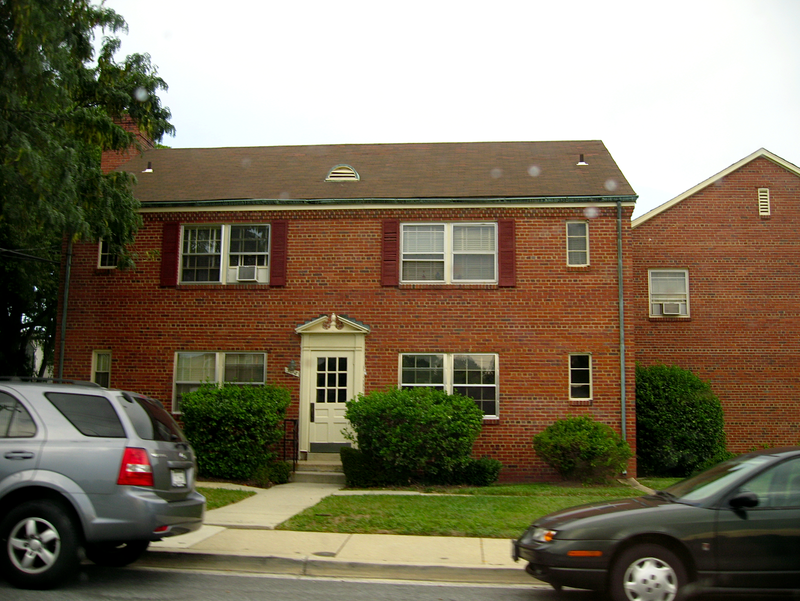 The discovery on Larchdale Road marked a transitional phase for the investigation, as Prince George’s County Police essentially took over the case. The crime scene was determined to be in an area of Laurel under county police jurisdiction. Sgt. Sherman Baxa of the Prince George’s County Homicide Unit credited Laurel Police for “Collect(ing) a tremendous amount of data”, and for cooperating with the P.G. County detectives as they assumed the reins of the investigation. Sgt. 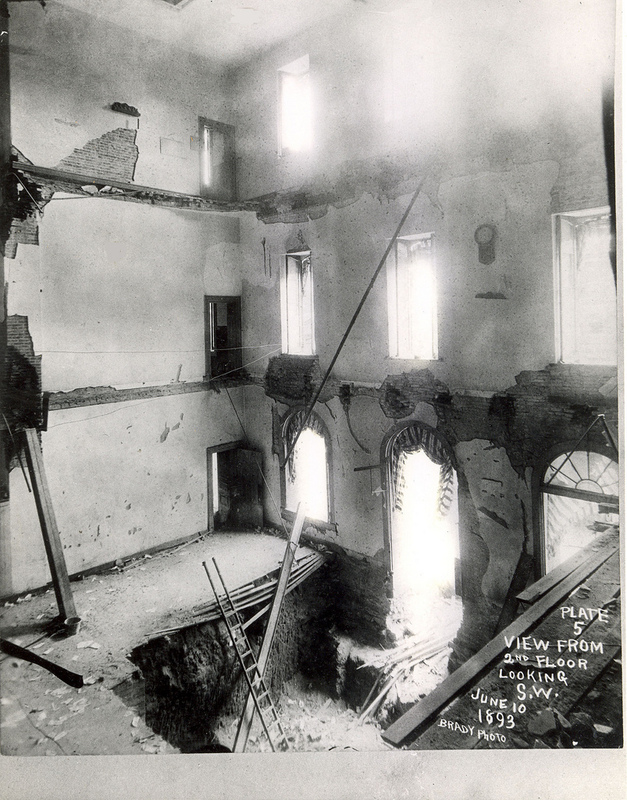 Baxa later released some compelling information about the citizen who’d found the partial remains. He’d witnessed a man actually throwing them into the woods. Baxa stated that the wooded area at the end of Larchdale Road had been used as a “dumping ground” for debris for some time, but the witness who found the remains had “observed an individual throwing something in the woods.” He said that the witness became curious, later walked over to the wooded area, and subsequently made the startling discovery. The witness was never publicly identified for obvious safety reasons, but it’s presumed that he was a resident of the nearby Larchdale Woods apartments (now known as “Parke Laurel”). Whether he happened to be walking by, in his car, or looking out a window wasn’t released; and while he couldn’t positively identify “the individual” he’d seen dumping “debris” in the wooded area, he’d provided police with even more critical information: he’d seen the car the suspect emerged from… and he’d seen a second man inside. Let’s cut back to the present day, since it was only this year that I learned details I hadn’t previously known. 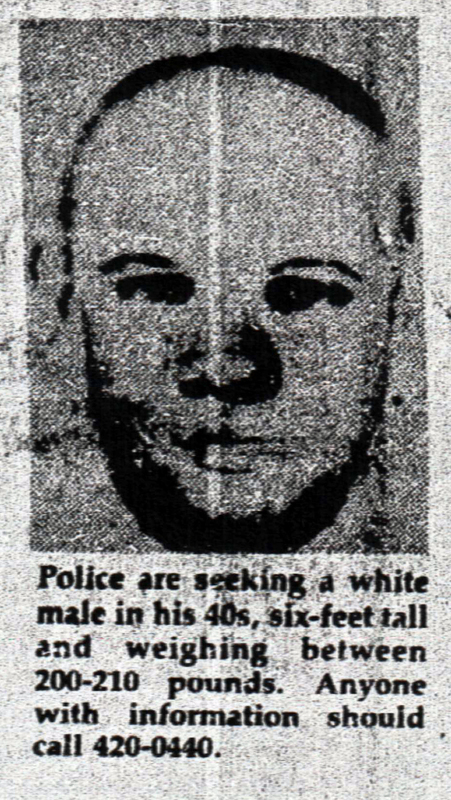 As a child, I wasn’t even aware that a witness had seen the car, or that police had released a composite sketch of the man wanted for questioning—a man who never did turn up. The notion that the same man who’d murdered little Adam Walsh the previous year—all the way down in Hollywood, Florida—sounded like a long shot at best… Until I started looking more closely at just who that man actually was. 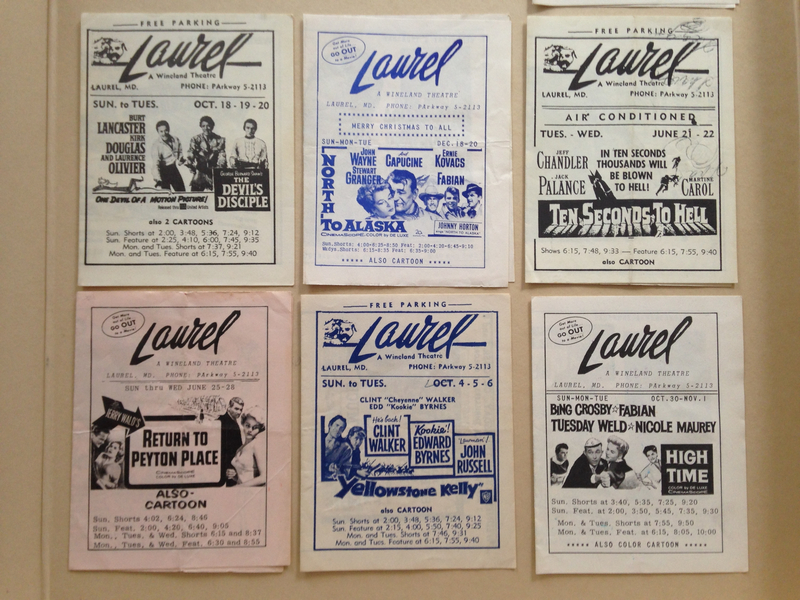 And when comparing these new bits of information to those old Laurel Leader articles, I actually got chills. 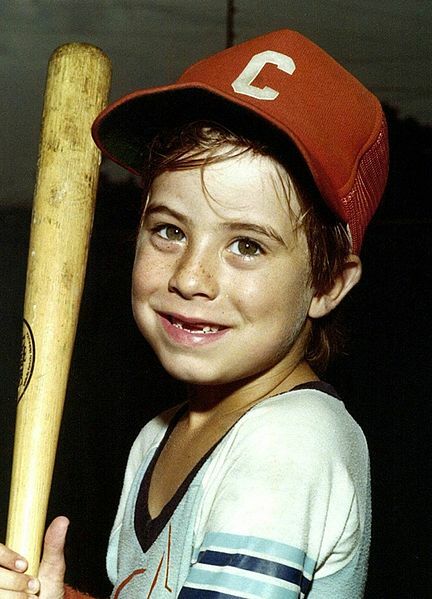 On July 27, 1981—almost exactly one year before Stefanie Watson’s murder—6-year-old Adam Walsh was with his mother at the Sears store in their local Hollywood Mall. Like any young boy in 1981, Adam was fascinated by an Atari video game display being played by a small group of older kids. Reve Walsh innocently left her son to briefly watch the gamers play while she inquired about a lamp just a few aisles away. In the seven minutes she was gone, a Sears security guard responded to bickering amongst the kids by making them all exit the store—including little Adam, who instinctively followed the guard’s orders (and the other children) and exited the nearest door. In that precise moment, Ottis Toole was in the parking lot, just looking for someone like Adam. And unfortunately, he found him. 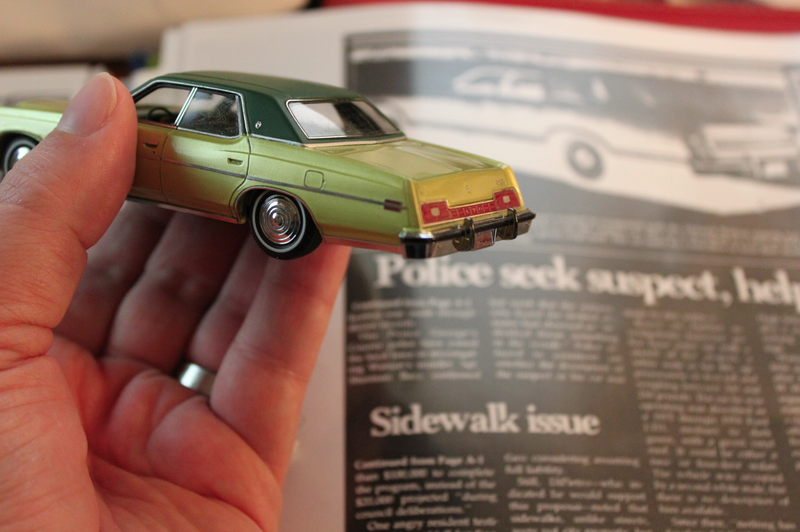 Adam was allegedly lured into the stranger’s borrowed Cadillac with promises of toys and candy. Toole, a deviant drifter already convicted of a slew of bizarre and brutal crimes, confessed to abducting the boy with the intent of simply “keeping him” as his own. But when Adam began to cry and panic while driving north along Interstate 95, Toole punched the boy into unconsciousness. Changing plans, he drove the car onto a deserted service road, where he claimed to have strangled Adam to death before decapitating him with a machete he kept under the front seat. On August 10, 1981, a pair of fishermen discovered Adam’s head in a Vero Beach, Florida canal. The rest of his remains have never been recovered, leading credence to Toole’s claim that he incinerated the boy’s body in an old refrigerator. Despite Toole’s initial confession as early as 1983, Hollywood police bungled the investigation—inexplicably losing Toole’s impounded car… and the machete. 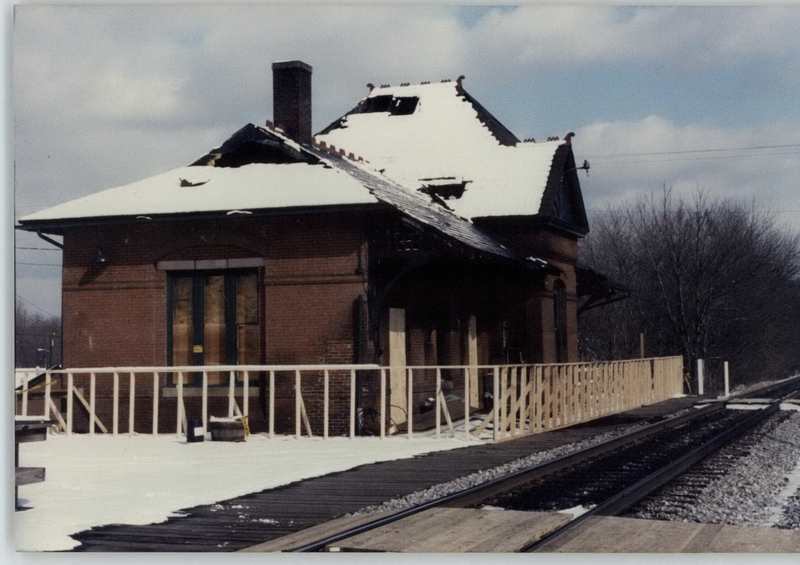 It wasn’t until nearly 25 years later, after an independent investigation by Det. Sgt. Joe Matthews at the behest of John and Reve Walsh, that police finally, officially closed the case—naming Ottis Toole as the murderer. 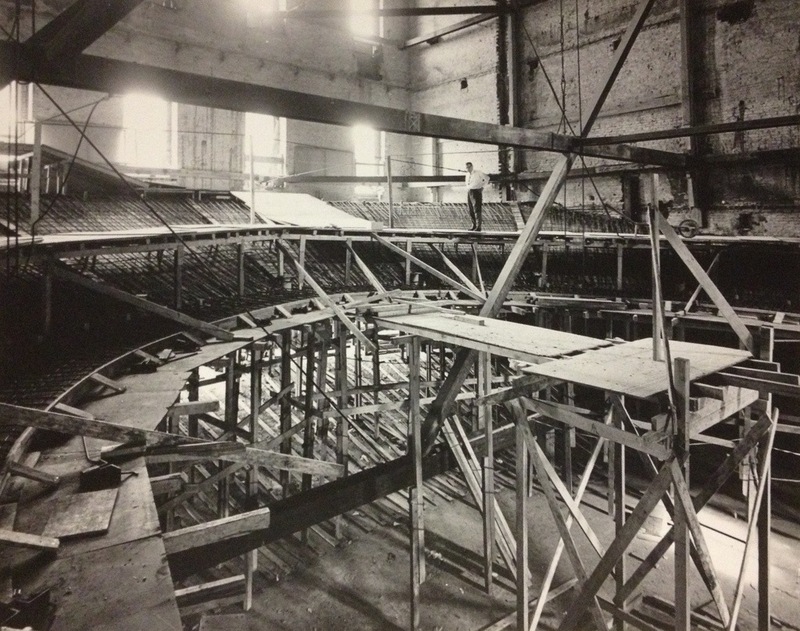 While researching evidence files, Matthews had discovered rolls of film—photos taken by crime scene investigators and evidence technicians—that had never even been developed. 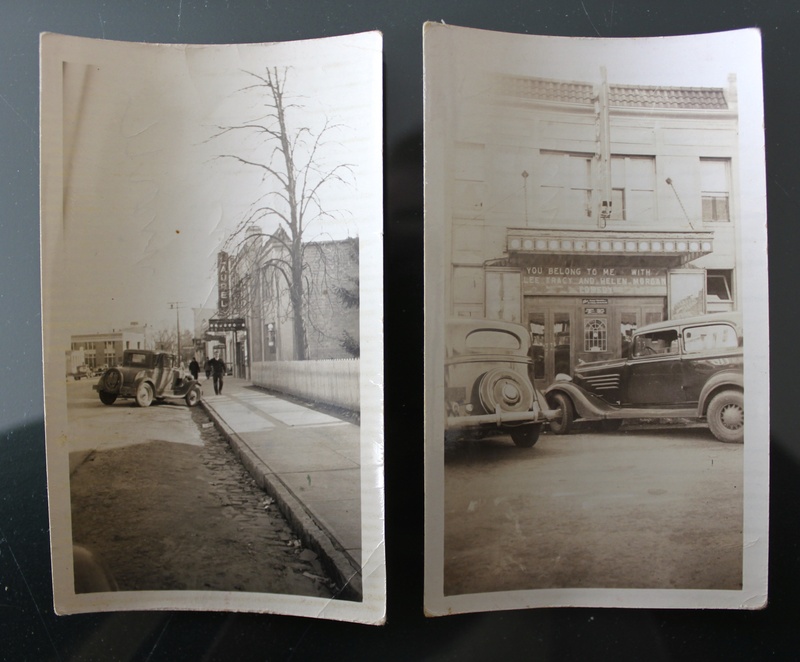 These photos, when processed, turned out to include chilling, detailed images of the missing Cadillac. One set of photos was particularly damning, as it documented a large presence of blood on the floorboard of the driver’s seat and the carpet behind it—where Toole claimed to have callously tossed Adam’s head before discarding it in the canal. “Traced in the blue glow of Luminol was the outline of a familiar young boy’s face, a negative pressed into floorboard carpeting, eye sockets blackened blank cavities, mouth twisted in an oval of pain,” an excerpt from Matthews’ book reads. After an exhaustive review of the “new” evidence, Hollywood Police formally charged Ottis Toole with the crime in December 2008, and apologized to the Walsh family for the long, painful journey they had endured to that point. 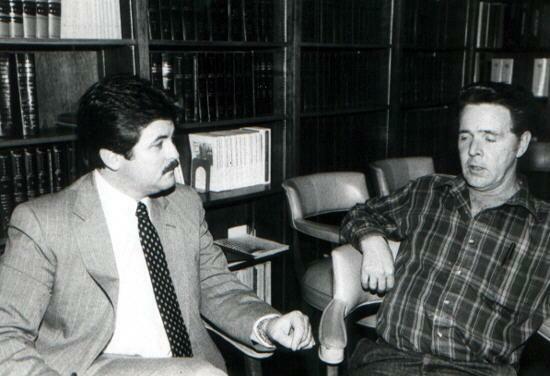 But there’s much more to the Ottis Toole story than just the murder of Adam Walsh. Especially when it comes to his relationship with the even more notorious serial killer, Henry Lee Lucas. 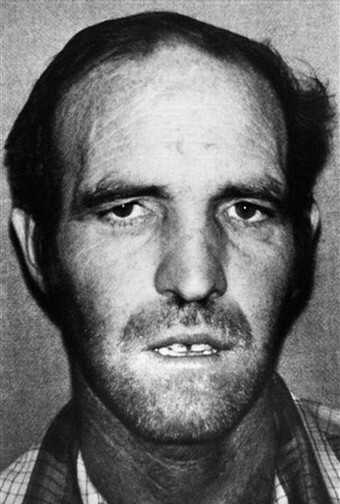 Henry Lee Lucas first met Ottis Toole in line at a soup kitchen in Jacksonville, Florida in 1976. But before joining up with his frequent traveling partner, lover, and confidant, Lucas—a diagnosed psychopath—had already killed before. His first murder, in 1960, was that of his own mother. Lucas was released from prison in 1970 due to overcrowding, but by 1971 he landed in a Michigan penitentiary for the attempted kidnapping of a teenaged girl and for violating his parole by carrying a gun. From there, he was released in August 1975, and took a bus to Perryville, Maryland, where he had a half-sister named Almeda Kiser. He spent the next few years as a hopeless drifter, occasionally working odd construction and mechanical jobs, but unable to work steadily. In 1975, he briefly settled in Port Deposit, Maryland—marrying a woman named Betty Crawford. But within two years, Betty accused Lucas of molesting her two daughters, and he left for Florida—setting the stage for what many believe to be one of the longest serial killing sprees in the annals of American crime. Beginning in 1978, Lucas and Toole embarked on a series of cross-country murder sprees. Lucas would later claim that during this period he had killed hundreds of people, with Toole assisting him in “108 murders,” by his estimation. Lucas stated that his preferred victims were young white females; Toole preferred men. Their methods of operation included everything from stabbing, shooting, strangulation, and beating to mutilations—with Lucas having been known to decapitate victims and carry body parts with him across state lines on different occasions. Lucas and Toole went their separate ways on multiple occasions—most notably when the bisexual Henry would “run off” with Toole’s own teenaged niece, Becky Powell—whose murder he would eventually be charged with as well. 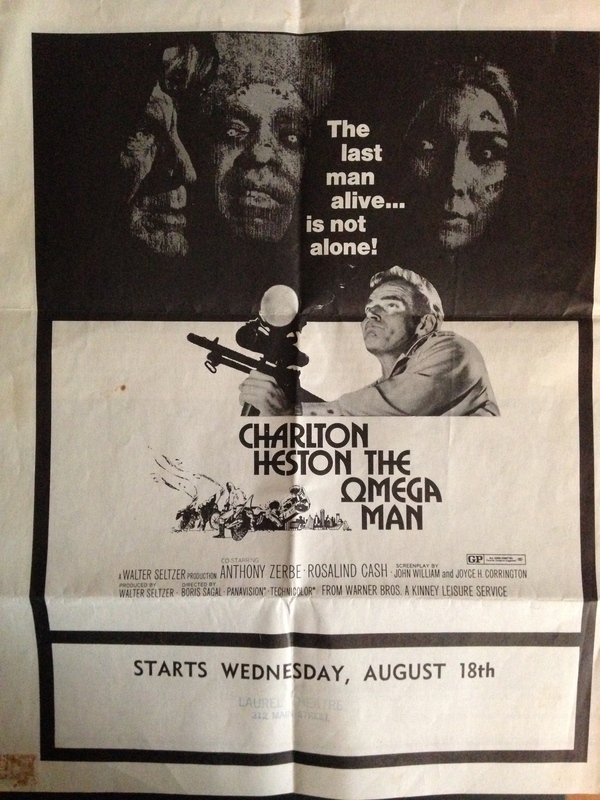 It was during one of these rare solo periods in 1981 when Ottis Toole murdered young Adam Walsh. Lucas, coincidentally was imprisoned in Pikesville, Maryland between July and October 1981; and as soon as he was released on October 7th, he traveled to Jacksonville, Florida to reteam with Ottis Toole. 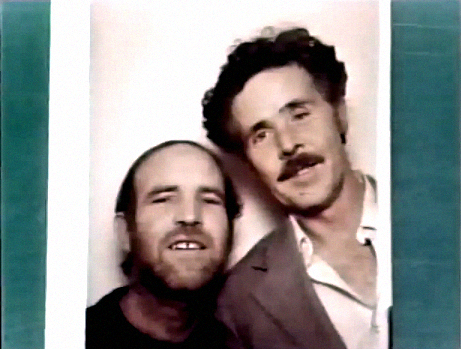 Ottis Toole and Henry Lee Lucas, photo booth print c.1982. When traveling together, Henry and Ottis were virtually untraceable, making erratic treks from coast to coast. 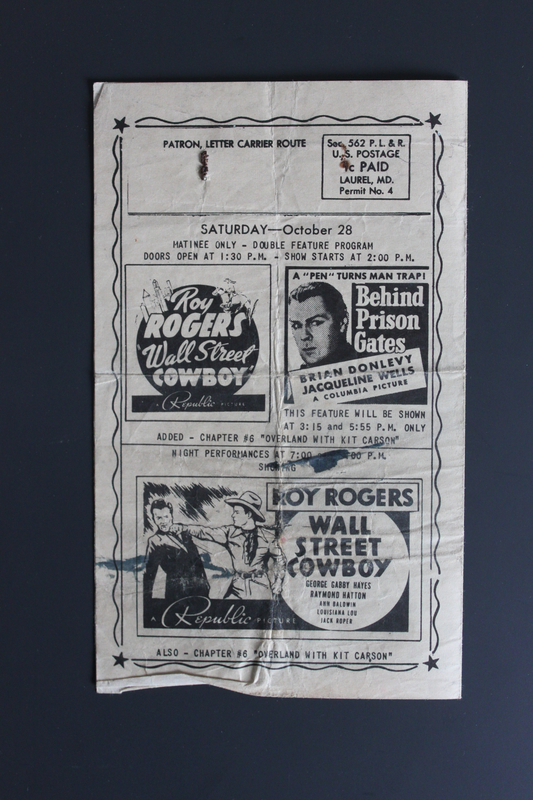 Lucas, on record, later confirmed to Texas prosecutors that in September 1982 alone, the pair had been through Missouri, Indiana, Illinois, Oklahoma… and Maryland. Criminal profilers in various states found themselves stumped at the lack of motive and pattern in some particularly brutal crimes, as was certainly the case with the Stefanie Watson murder. Serial killers, it was commonly believed, usually work alone. The utter randomness of these crimes was virtually unprecedented, especially when they occurred in small communities. Lucas was arrested in Texas on June 11, 1983, initially for unlawful firearm possession. He was later charged with killing 82-year-old Kate Rich, with whom he briefly stayed as a boarder, as well as the earlier stabbing death of Ottis Toole’s niece, Becky Powell. While in custody, Henry Lee began to confess to numerous other murders, as well—frequently detailing victims and crime scenes that only the killer(s) would have known. Unfortunately, he also confessed to scores of murders that he couldn’t have committed. Enjoying the extra attention warranted someone who boasts of having killed hundreds—even thousands—of people, Lucas seemingly began copping to any and all unsolved cases presented to him. He would then recant confessions just as frequently, further baffling prosecutors. In November 1983, the “Lucas Task Force” was created in Williamson County, Texas, for the purpose of coordinating with police agencies across the country. 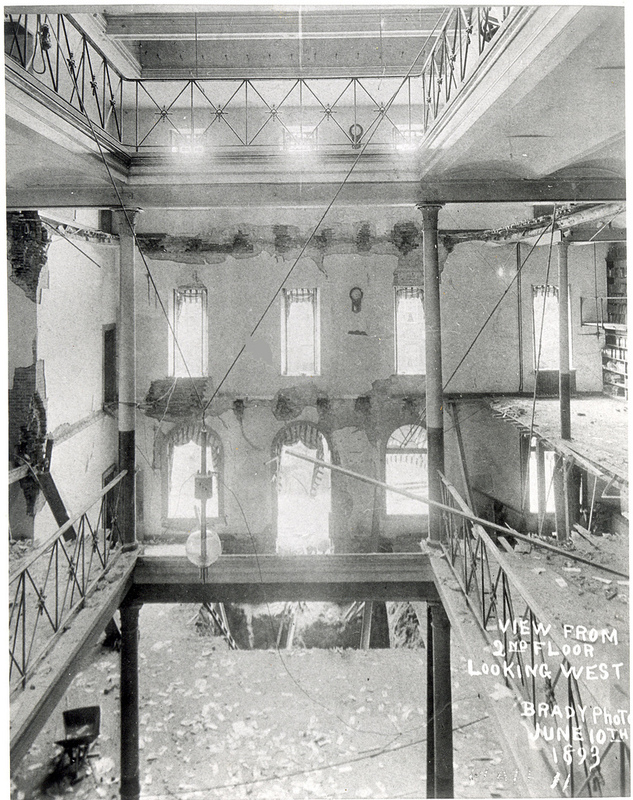 So vast and wide were Henry’s claims, that Texas authorities gave out-of-state detectives the opportunity to interview Lucas for their own cases. One of those agencies, I’ve learned, was Prince George’s County Homicide. Meanwhile, Ottis Toole was finally behind bars himself. Initially arrested for arson, (Toole was also an admitted pyromanic—or “powerful maniac”, as he believed was the correct term) it was a jailhouse tip from Henry Lee Lucas that shined a more sinister light on his onetime partner. In April 1984, Toole was convicted and sentenced to death in Jacksonville for the murder of 64-year-old George Sonnenberg—whom Toole had barricaded into his own home before setting the house on fire—a crime he’d committed back in January 1982. He was also found guilty of the February 1983 strangulation murder of 19-year-old Silvia Rogers, a Tallahassee, Florida resident, and received a second death sentence. On appeal, however, both sentences were commuted to life in prison. 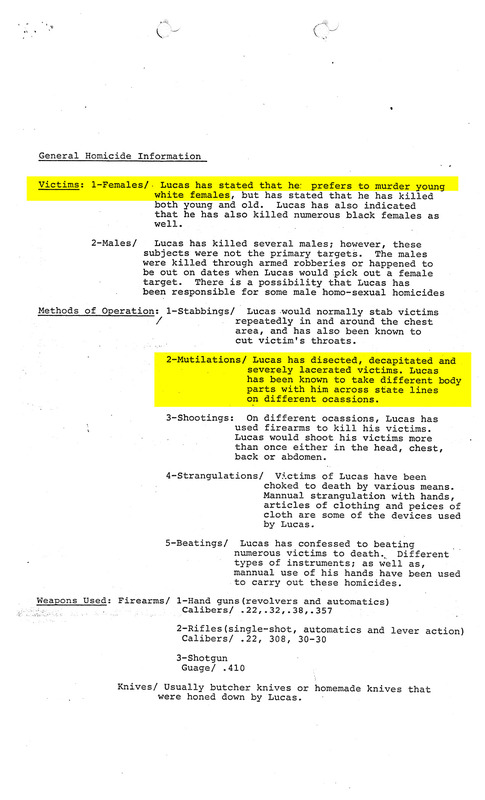 Back in Texas, the Lucas Task Force investigation was well under way throughout 1984, when it began to receive criticism for becoming “a veritable clearinghouse of unsolved murder.” In fact, Police officially “cleared” 213 previously unsolved murders via Lucas’ confessions. Speaking out of the proverbial other side of his mouth, however, Lucas claimed that he confessed only because doing so improved his prison living conditions—and because he received preferential treatment rarely offered to convicts. 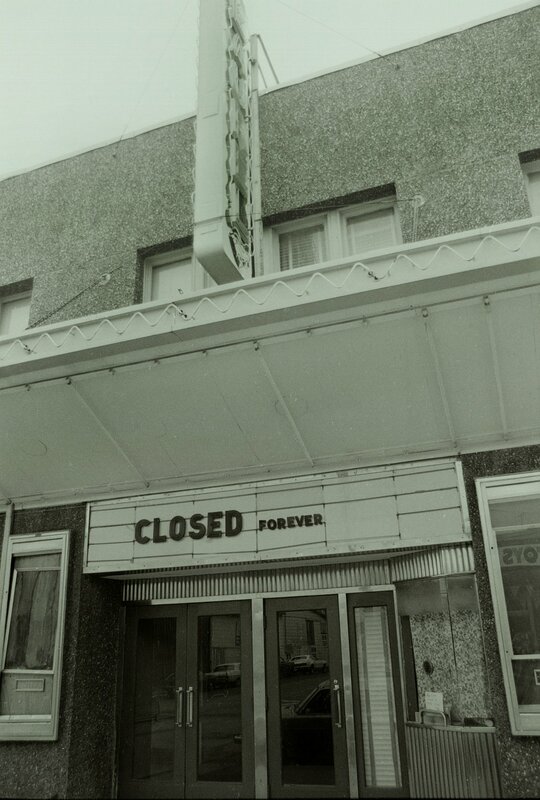 It was at this time that Vic Feazell, an ambitious young District Attorney in Waco, Texas, launched a large scale investigation into the veracity of Lucas’ confessions. 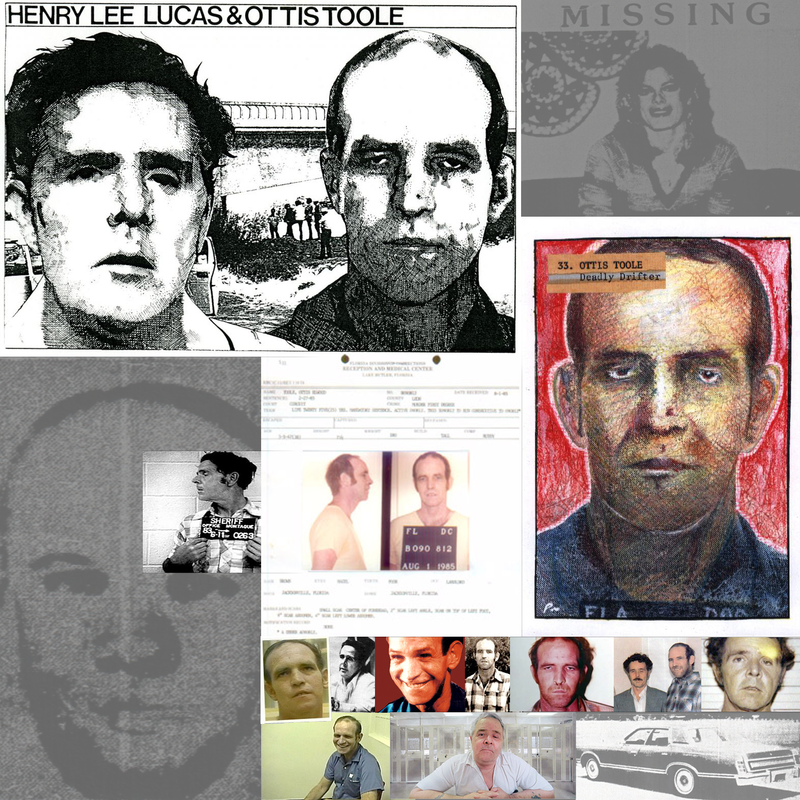 The result was the “Lucas Report”, an extensive timeline documenting the confirmed travel movements of Henry Lee Lucas (and Ottis Toole) that conclusively disproved many of Lucas’ confessions. In a typical instance, the report showed Lucas cashing checks in Florida while at the same time confessing to a murder in Texas. But ironically, it’s Feazell’s timeline that may actually implicate Henry Lee Lucas and Ottis Toole in one of the few murders that they didn’t confess to—the Stefanie Watson murder. 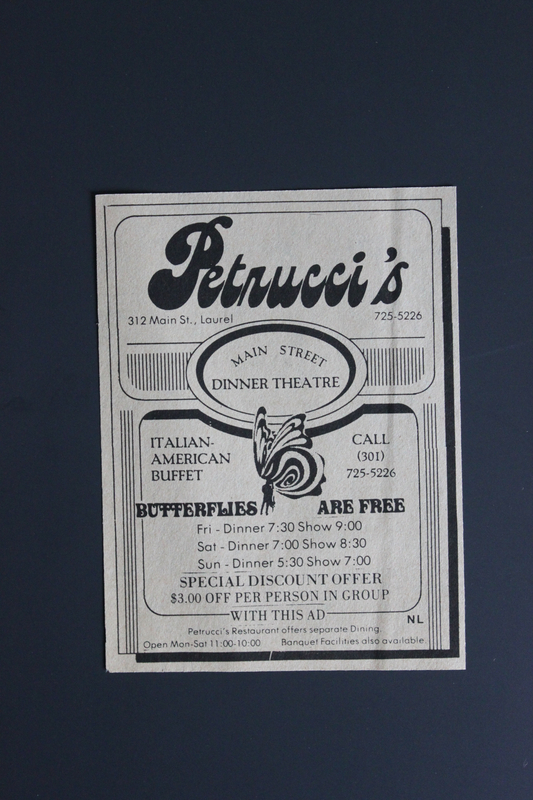 Feazell’s timeline shows no record of Lucas’ whereabouts during July 1982—the time when Stefanie Watson was killed. It does, however, document several of Lucas’ travels throughout Maryland. The report includes grim information about Lucas’ methods, which clearly match the Stefanie Watson murder profile. One note mentions it having been a brown car. Whether it was or not, it’s fairly easy to imagine a brown 1973 Ford LTD being mistaken for green in the darkness on Larchdale Road. And the 1973 model did offer the darker vinyl top, a distinctive feature that the witness pointed out. What do you think? Could a 1973 Ford LTD be mistaken for a 1975-78 model? With all these things considered, let me go ahead and spell this out completely. What are the odds that the two men seen driving the Ford LTD that night were NOT Henry Lee Lucas and Ottis Toole? Could it really just be some amazing coincidence, and that two other guys—one of whom eerily fits the description of the 6’1, 195 lb. 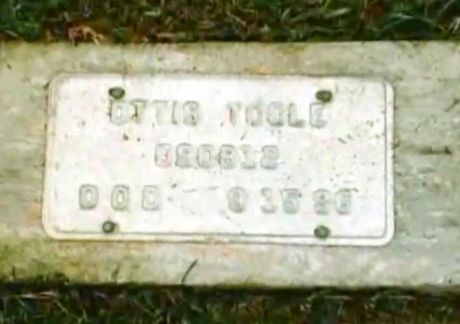 Ottis Toole—just happened to be driving an equally similar Ford LTD, and tossed a severed head out into a wooded area? 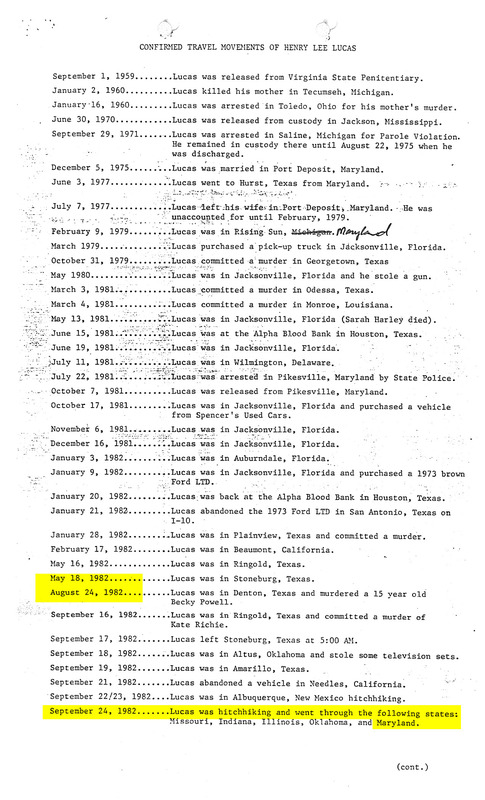 The unique and horrific profile of this murder matches that of Henry Lee Lucas and Ottis Toole, who were known to have been traveling together through Maryland at that time, in that vehicle. It can’t be a coincidence. 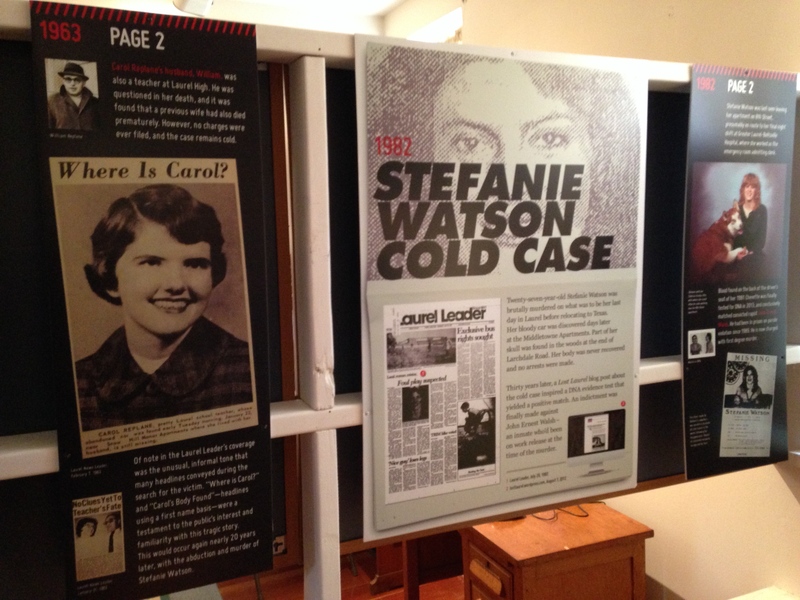 What initially sounded implausible at best now strikes me as the almost certain answer to the question that has haunted Laurelites for the past three decades: who killed Stefanie Watson? 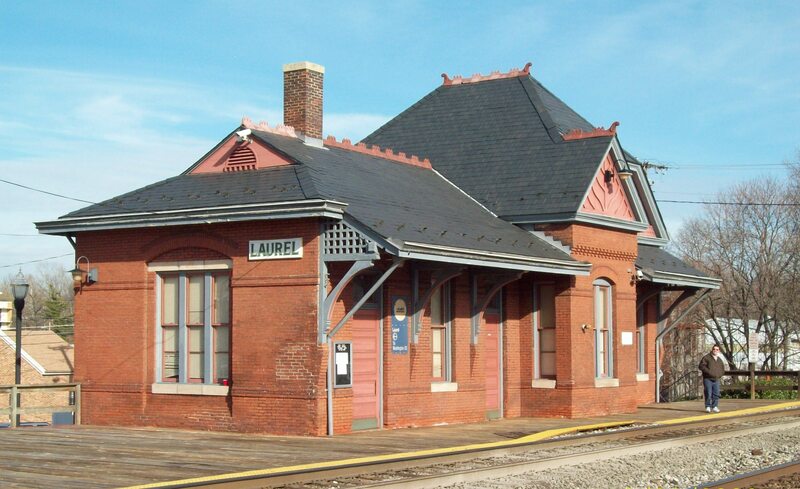 Back in March, I contacted Laurel Police in hopes of finally learning the basics of this case, and separating the facts from the many rumors I’d heard as a child. Most importantly, I wanted to find out if in fact the case was still open—and hadn’t been quietly solved at some point over the last several years. 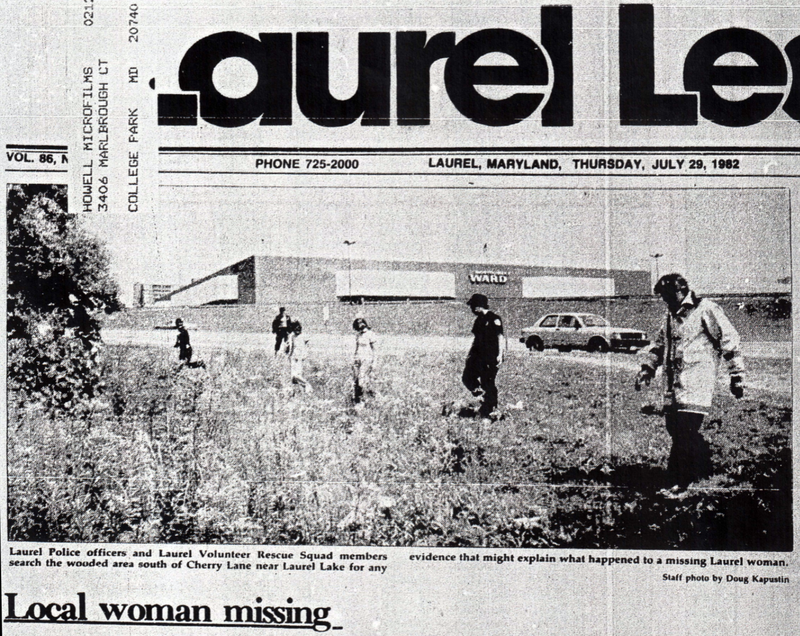 I explained that I was writing a piece for Lost Laurel on the approaching 30th anniversary of the murder, in the context of the countless Laurel businesses—most now gone—that had spread the word about this horrific crime. I had the pleasure of speaking to Chief of Police Richard McLaughlin, who confirmed that the case was indeed still open to the best of his knowledge; he also confirmed that Prince George’s County assumed control of the case when the partial remains were discovered. Over the next week, I spoke to Sgt. Rick Fulginiti and Det. David Morissette, both of Prince George’s County Homicide. 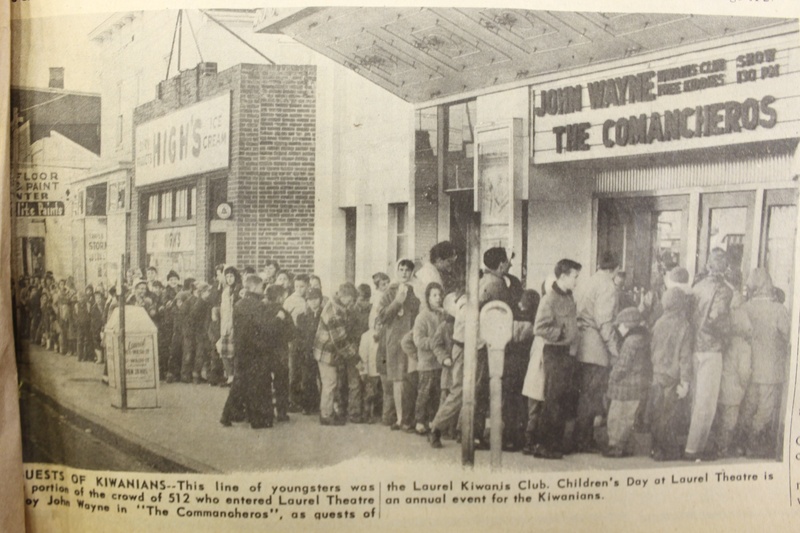 As I did with Chief McLaughlin, I introduced the project and carefully pointed out that I was only nine years old at the time of the murder I was inquiring about, less I suddenly become a suspect myself. Sgt. Fulginiti confirmed that the case was indeed still open, and active. And when Det. Morissette began explaining just a few of the general points that their Cold Case Unit has been investigating, I immediately got the sense that I hadn’t uncovered anything that Prince George’s County detectives didn’t already know. (Go figure). 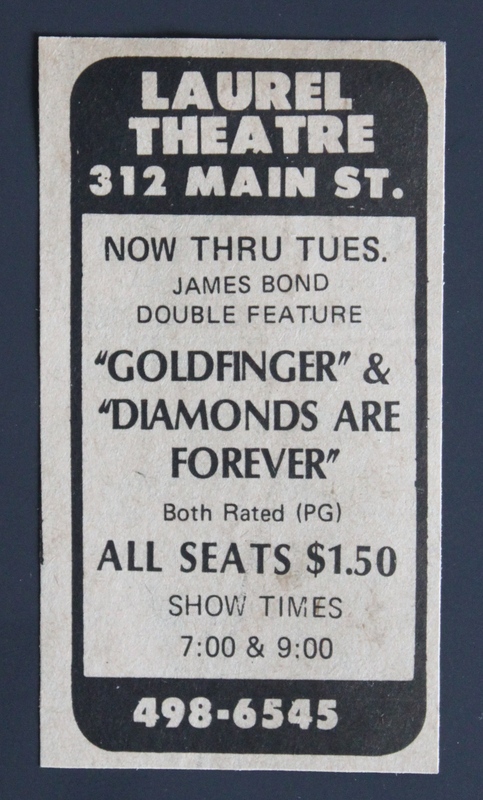 In fact, the very first name Det. 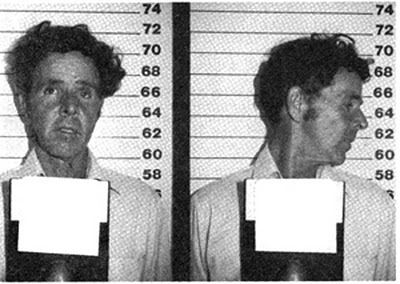 Morissette mentioned was that of Henry Lee Lucas. He confirmed that in 1984, Prince George’s County had indeed sent a team of investigators to Texas to participate in the Lucas Task Force questioning. While their suspicions have always lied with Lucas, they simply weren’t able to conclusively connect him to the crime. Apparently, their visit occurred during a rare moment when Lucas wasn’t in a confessing mood. Nonetheless, Det. Morissette had some interesting new news to report, and it could be big: his office has “several new items for DNA testing,” and “has been in recent contact” with Stefanie’s family. Wanting to make sure I wouldn’t only be spreading more rumors and misinformation about this tragedy, I essentially sought an off-the-record endorsement for the conclusion that I’d surprisingly come to on my own. Det. 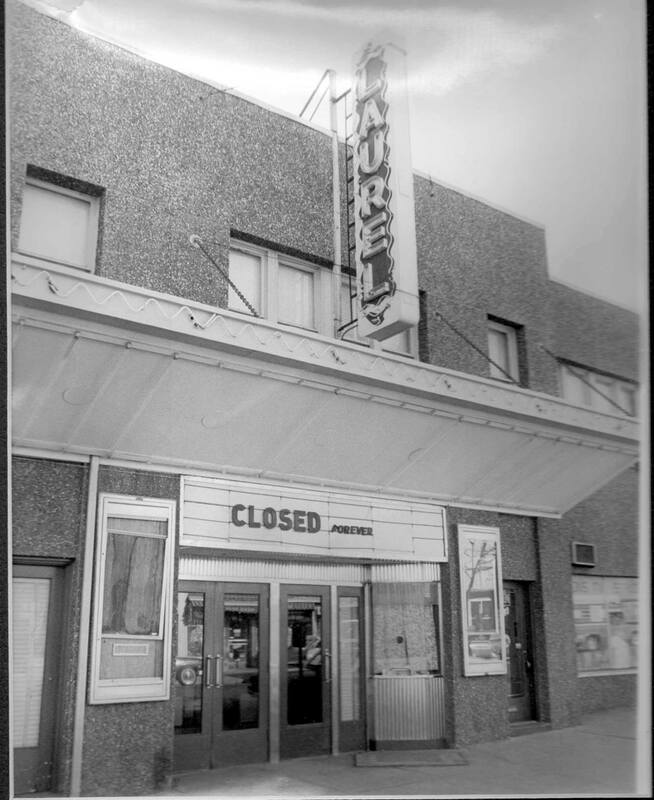 Morissette simply encouraged me to write this piece exactly as I’d planned, adding that it could even jog some long-suppressed memories, or prompt someone to finally come forward with details that they just weren’t ready to share over the past three decades. So what comes next? Nothing will bring Stefanie back, obviously; and is any of this relevant—particularly since Henry Lee Lucas and Ottis Toole won’t be here to face any charges that might be brought? Ottis Toole died of liver failure on September 15, 1996. He was 49. Fortunately for society, he had been wasting away in a Florida prison since April 1983—a mere seven months after that witness on Larchdale Road spotted someone who looked awfully like him discarding something in the woods. He was buried in the Florida State Prison Cemetery when no one—relatives or otherwise—would claim his body. 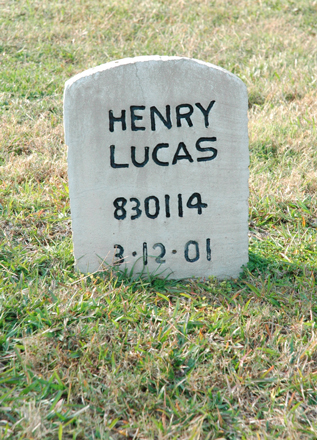 Henry Lee Lucas, likewise, enjoyed only brief freedom after Stefanie Watson’s murder. 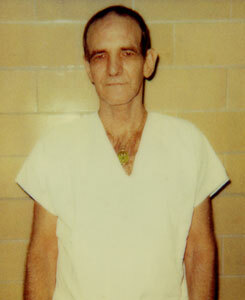 Locked away in a Texas prison since June 1983, he died of heart failure at age 64 on March 12, 2001. Stefanie’s complete remains have never been recovered. She has yet to receive a proper burial, or a permanent resting place. There was a memorial service for her, however, shortly after the identification was made. According to Pastor Arthur Mayer, almost 100 people filled the small Seventh Day Adventist Church in Laurel that September afternoon. And there would’ve been more. 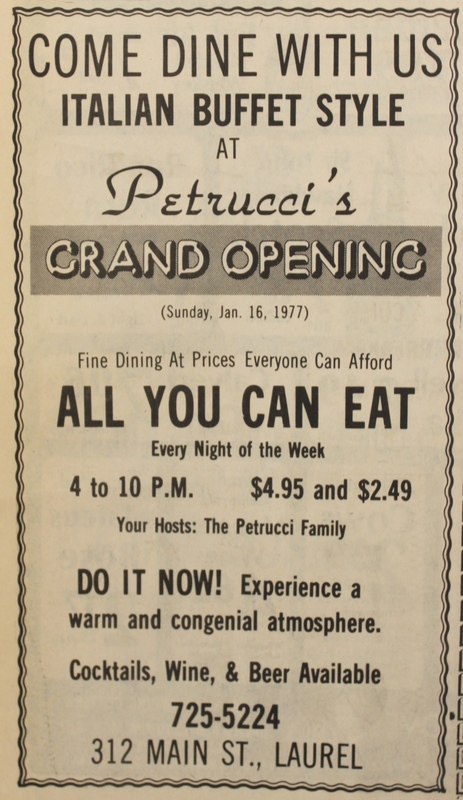 Originally scheduled for 7:00 PM, Stefanie’s family decided at the last moment to change the time to early afternoon, so her co-workers from the hospital night shift could attend. For many, including the press, news of the change in time came too late. The hospital also honored Stefanie’s memory with a brief, but moving service attended by almost 60 members of the medical staff, plus friends and family. In a fitting tribute to the young woman who’d comforted so many worried patients there, the family room of the Greater Laurel Beltsville Hospital’s emergency room was officially dedicated to Stefanie Watson. 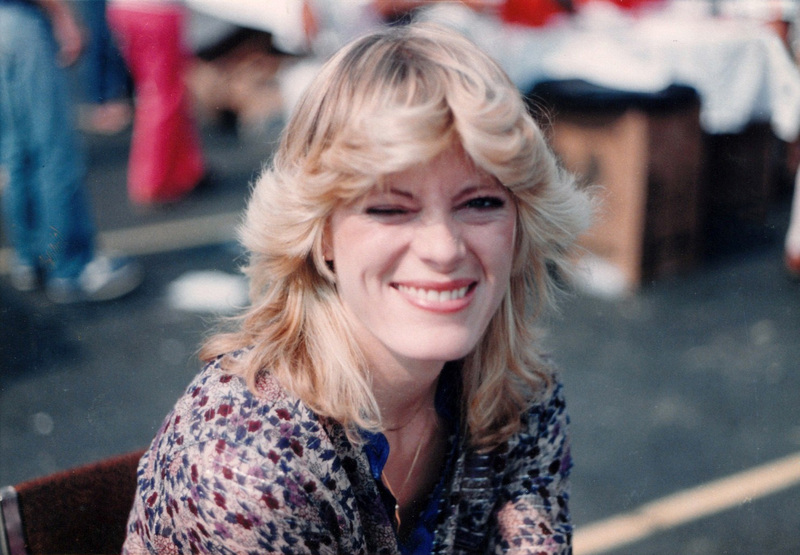 If police were to posthumously charge Henry Lee Lucas and Ottis Toole with this murder, perhaps it could bring some long-overdue measure of closure to Stefanie’s family, the way it did for John and Reve Walsh. It could also hopefully bring the memory of the real Stefanie Watson back to the public eye, reminding us that hers was a life worth remembering, rather than just the brutality with which it ended. Henry Lee Lucas and Ottis Toole, if indeed guilty, should finally be identified and held responsible for this horrific crime; and then they should be forgotten. There are a number of people I need to thank for being able to share this story: Laurel Chief of Police Richard McLaughlin, for his time and encouragement; Sgt. Rick Fulginiti and Det. David Morissette of Prince George’s County Homicide, for also taking the time and making the effort to review and share a case that predates their own careers. 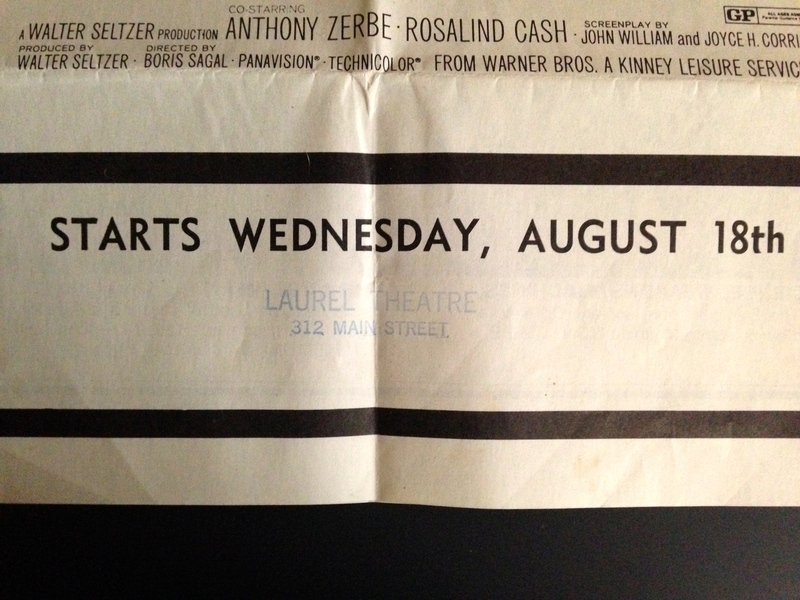 Most importantly, the writers and editors of the Laurel Leader who originally documented this terrible event between July and September 1982—most notably Karen Yengich, Gill Chamblin, and photographer Doug Kapustin. I’m sure there were more, but unfortunately, not all stories were afforded a byline. 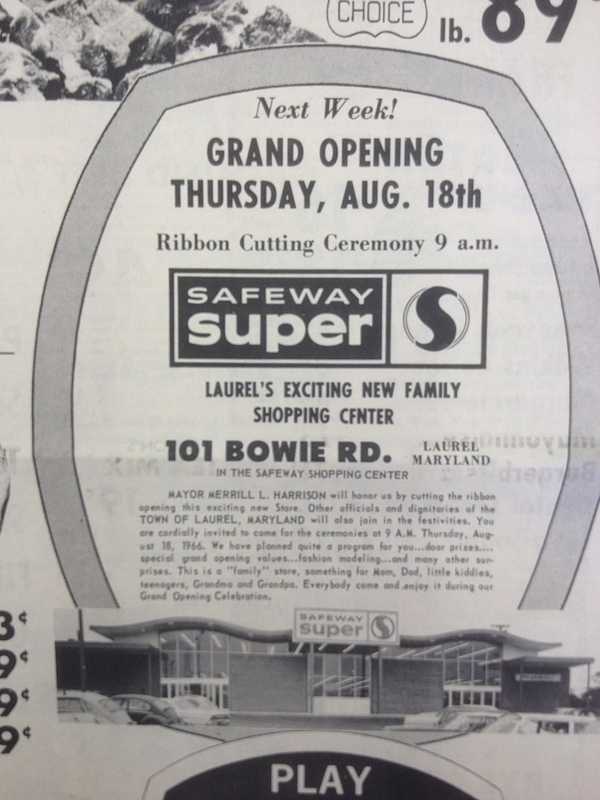 Last but not least, the Laurel Library, for continuing to house the only known complete microfilm archive of the Laurel Leader, despite obvious space restrictions. 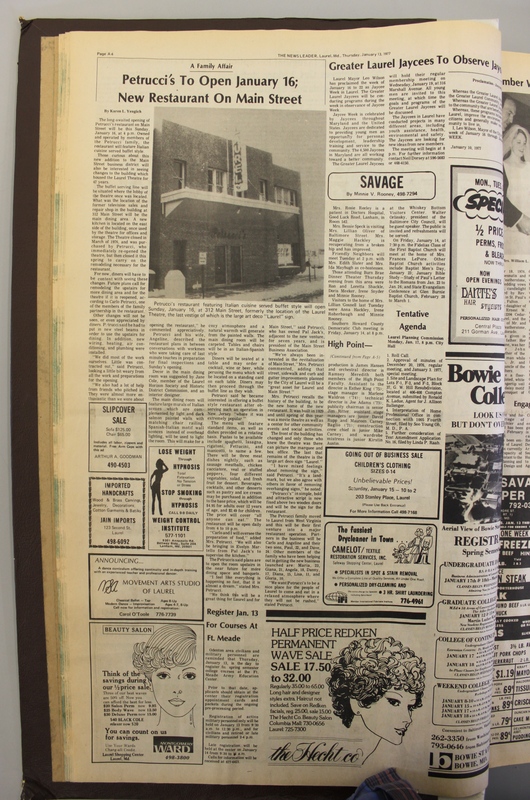 A city’s history is literally recorded in its newspapers—please don’t ever let that archive disappear. 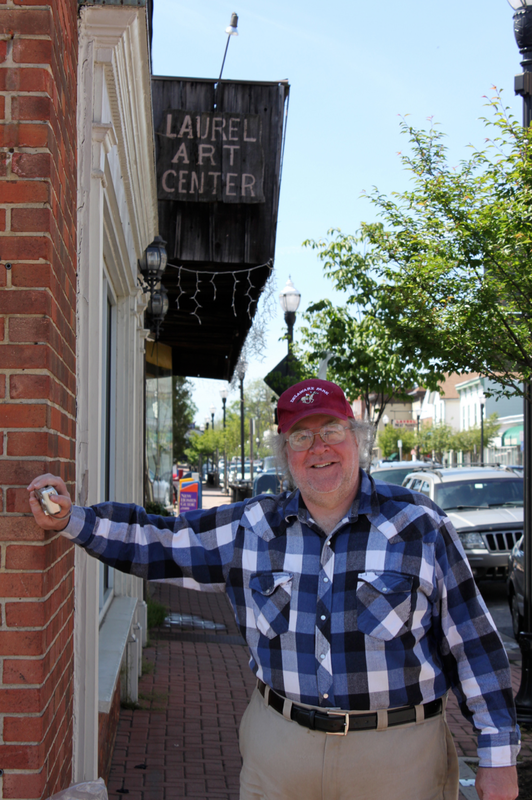 John Floyd II outside the Laurel Art Center in April, where he also went to photograph the closing of another Laurel icon. 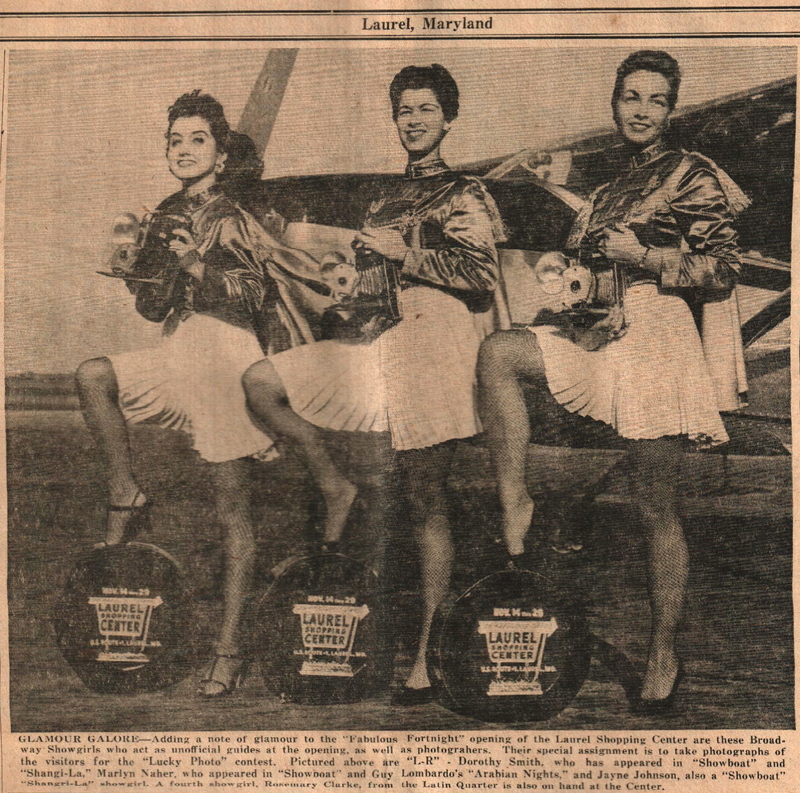 Last month, I wrote about the plight of John Floyd II, the kind and gregarious Laurel native who’s contributed so many wonderful photos, artifacts, and historical data to share with Lost Laurel. John, who has lived frugally in the same home for some 46 years—the home of his late stepdad, Harry Fyffe (of Laurel’s legendary Fyffe’s Service Center)—recently saw his home sold at the annual Prince George’s County Tax Auction in May, after falling behind on his 2011 property tax bill. Earning only approximately $10,000 last year from his eBay sales—his sole means of income—and having been saddled with numerous veterinary bills, he simply didn’t have the money. And the county’s tax laws are harsh, to say the least—there’s no partial payment or installment plan; it’s literally all or nothing. John was given until June 30th to come up with over $3,000 he owed. If he missed that deadline, the debt would balloon to over $7,000 when the 2012 tax bill is added on, along with the usual host of penalties and additional fees—and that imposing total would be due no later than July 31st. After that point, John’s redemption window would be slammed shut, and the new tax lien owners would be free to initiate foreclosure and eviction proceedings. Not wishing to see that happen to anyone—let alone a dear friend whose photos inspired this very blog—I asked readers to join me in donating whatever they could to help John meet these deadlines and save his childhood home—and you did. In only a few short days, I’m very happy to report that John had received just over $1,000 in donations, renewing his hopes of getting through this harrowing ordeal! In addition to the PayPal contributions and checks, folks even offered to drop off food and toys for the many cats John takes care of. 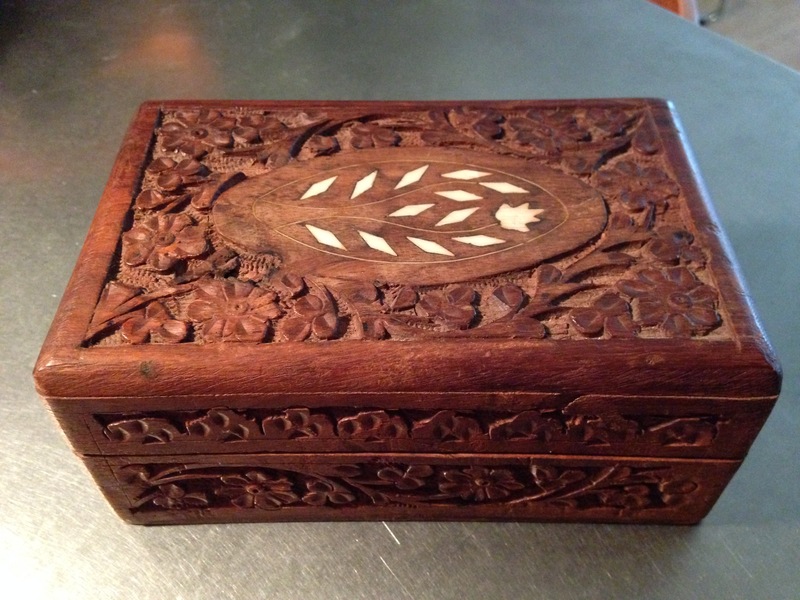 Others helped by purchasing goods from his eBay store and referring friends. And although our little benefit didn’t raise the total amount, it was certainly an overwhelming outpouring of generosity from people who cared enough to help. Fortunately, another generous soul was willing to loan John the remaining $2,400 he needed, and drove him to Upper Marlboro to make the payment just a day before the amount would have more than doubled. The immediate crisis averted, John can rest a little bit easier knowing that his home is once again safe—for now. But the experience has understandably rattled this genial chap who’s so hesitant to ask for or accept charity, and he’s already stressing about his next daunting challenge: repaying the loan by the end of the year, as well as the new property tax bill, which will be arriving any day now. More than anything, John wants to avoid a repeat performance. And speaking of performances, if you read the original story, you’ll remember that John is a wonderfully talented musician who has played with countless ensembles over the years. Unfortunately, that career effectively ended with the demise of his last vehicle nearly a decade ago. 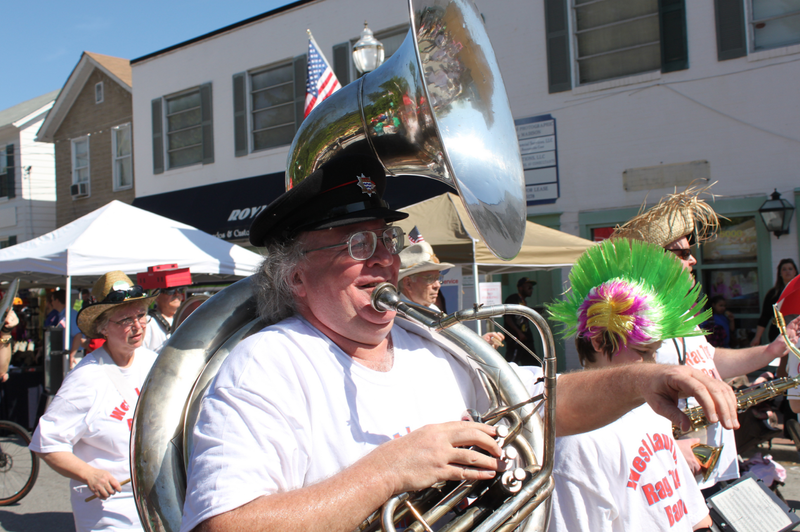 This past May, he marched for the first time in years with the West Laurel Rag Tag Band in the Main Street Festival. 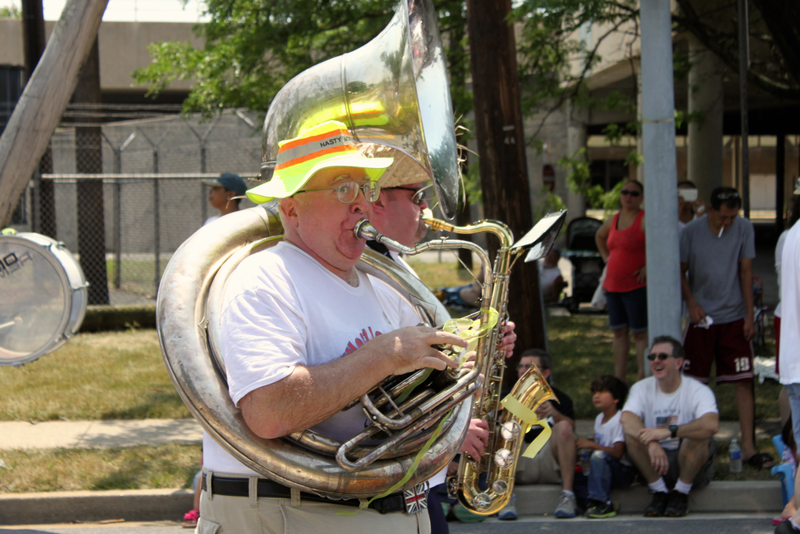 I caught up with him this past Saturday, as he once again carried the giant antique Sousaphone in the 4th of July parade on what was easily the hottest one in years. 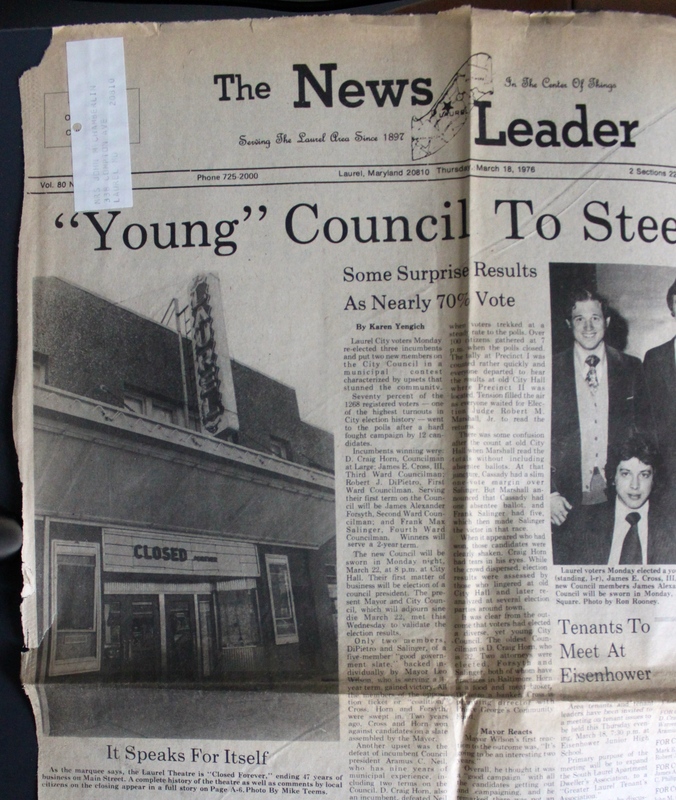 Like everyone in this storied local band that made its first appearance back in 1983, the heat couldn’t temper John’s patriotic and civic spirits. If tough financial times couldn’t do it, neither could this heatwave! 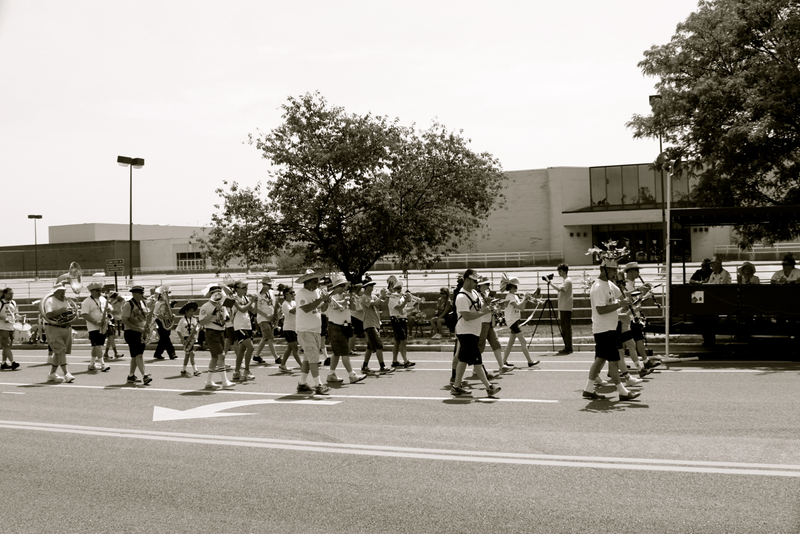 John marching with the band on another hot day earlier this year during the Main Street Festival. 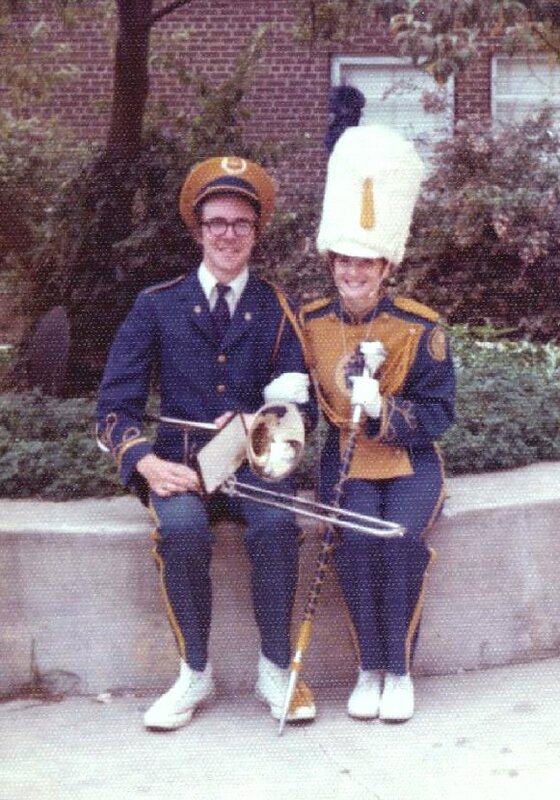 The 4th Street parade route is a familiar one for John; not just because he lives only a block away, but because he’s marched it since his Laurel High School band days in the early 1970s. 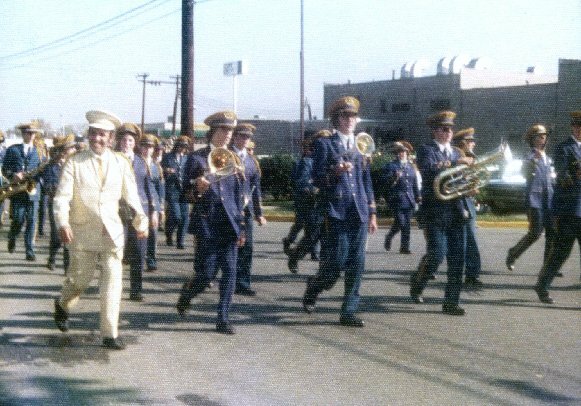 That’s him as a young lad in the front, holding the trombone. Bandmaster Harvey Beavers is at left in, as John called it, “his ice cream suit”. 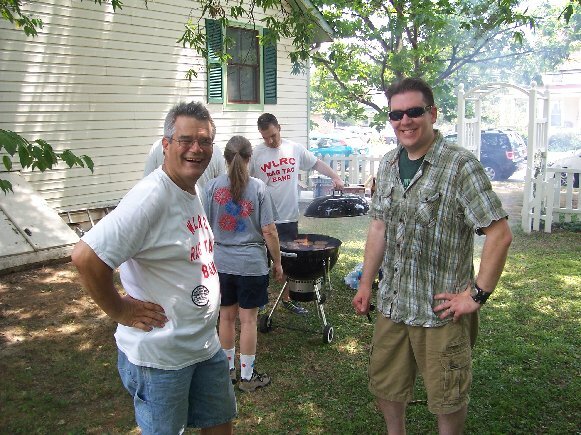 Thanks to John, this year I had the pleasure of meeting band director Bill Stevick and his wonderfully talented family after the big event, at their annual post-parade picnic! 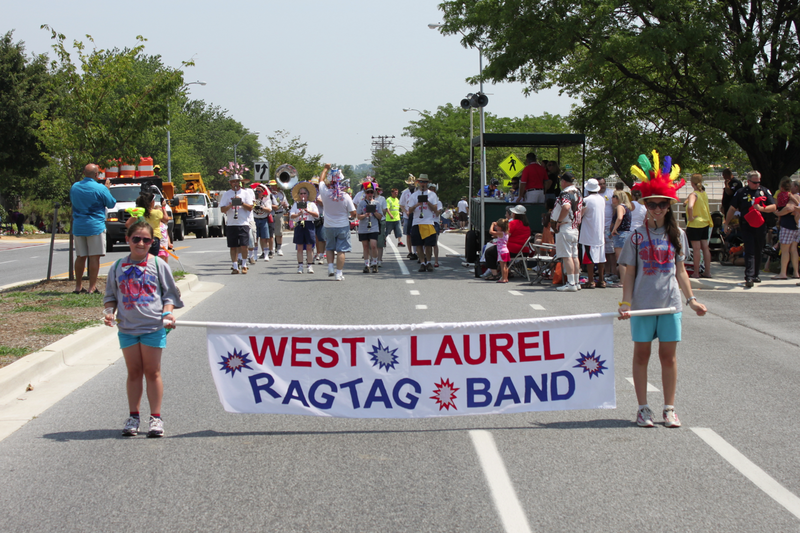 Believe it or not, 2013 will mark the 30th anniversary of the West Laurel Rag Tag Band. 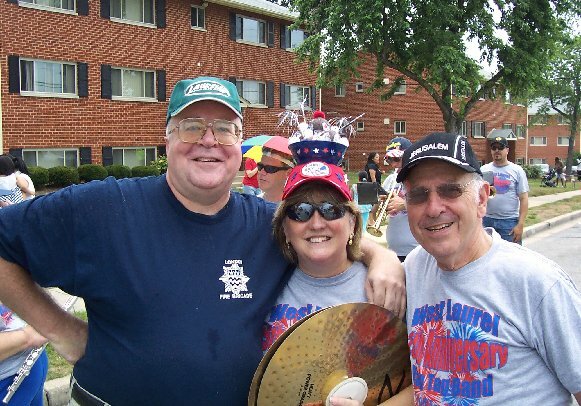 It’s membership has ebbed and flowed over these three decades, but the band has literally played on—consistently delighting Laurel twice a year: at the Main Street Festival and the 4th of July Parade. 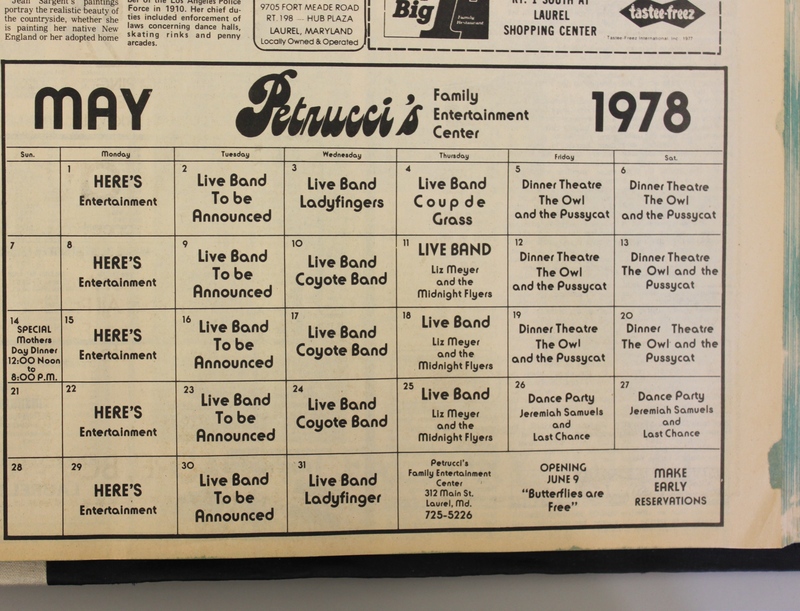 I hear there’s talk of possibly retiring the band after next year’s landmark anniversary, but let’s hope that’s not true! 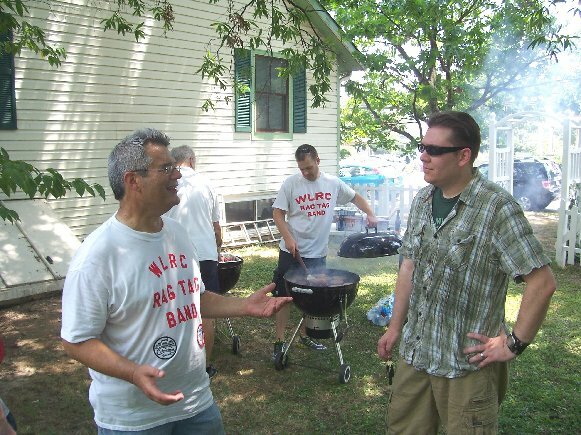 The folks who make up the Rag Tag Band are the heart of these homegrown events; and in many ways, the very heart of Laurel. Make sure you see them next year, and encourage them to keep this great tradition going! 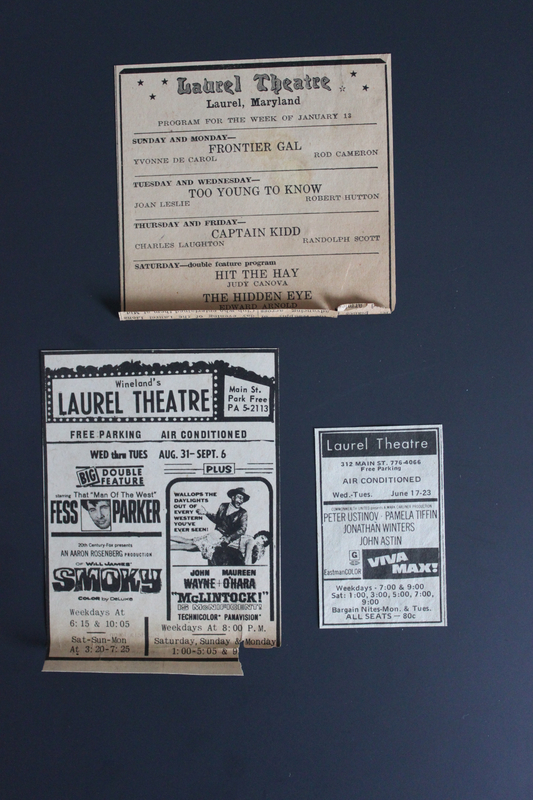 Getting back to the topic at hand, I’ve got a number of Lost Laurel goodies to mail out to everyone who so generously donated to John Floyd’s cause. I’m in the process of sorting through the receipts that John has forwarded to me, and determining who gets what. (I volunteered an auction of sorts for those who were the first to donate specific milestone amounts, and you guys are cleaning me out!) 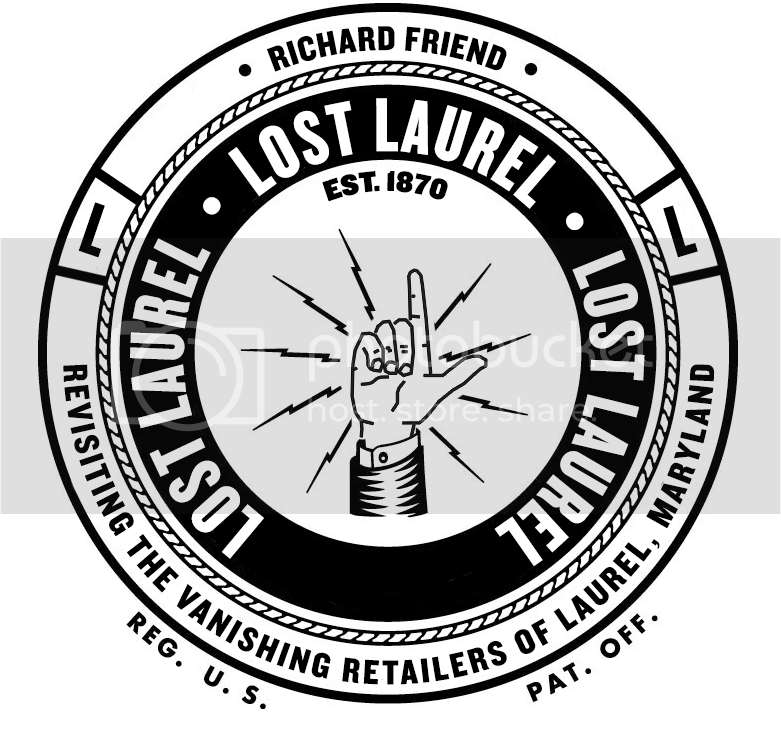 🙂 I may have to contact several of you in order to get a mailing address; but if you donated $25 or more, please feel free to already go ahead and email me that information (richard_friend@mac.com), or send it via direct message on the Lost Laurel Facebook page. 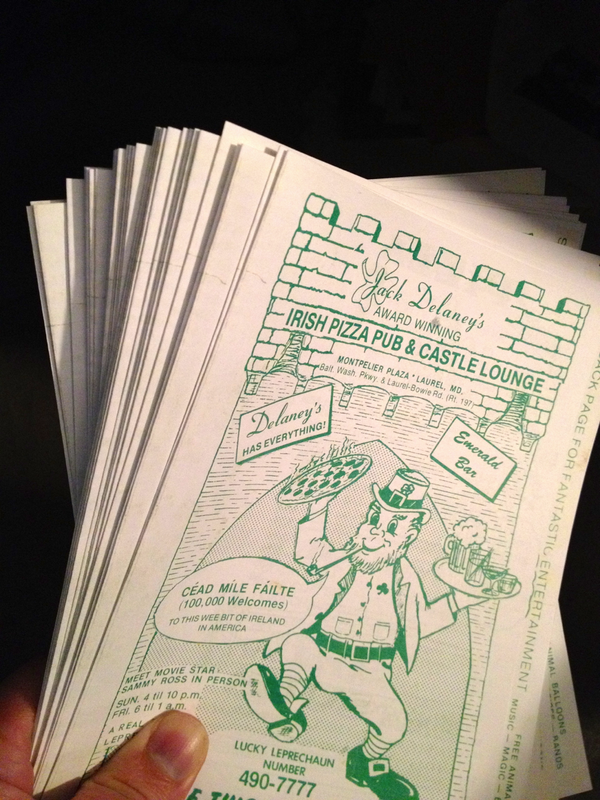 There are some vintage Laurel posters and framed Marian Quinn prints going to some, but everyone who donated $25 or more will get a reproduction of the classic 1981 Delaney’s Irish Pizza Pub menu. I’ve just had a supply printed, and they’re ready to go! I want to point out, however, that the fundraiser is by no means over. We’ve helped solve John’s immediate problem, but his financial situation is still extremely fragile, and I fear it will be for at least the coming year. On top of everything else, John’s computer is now on the fritz. 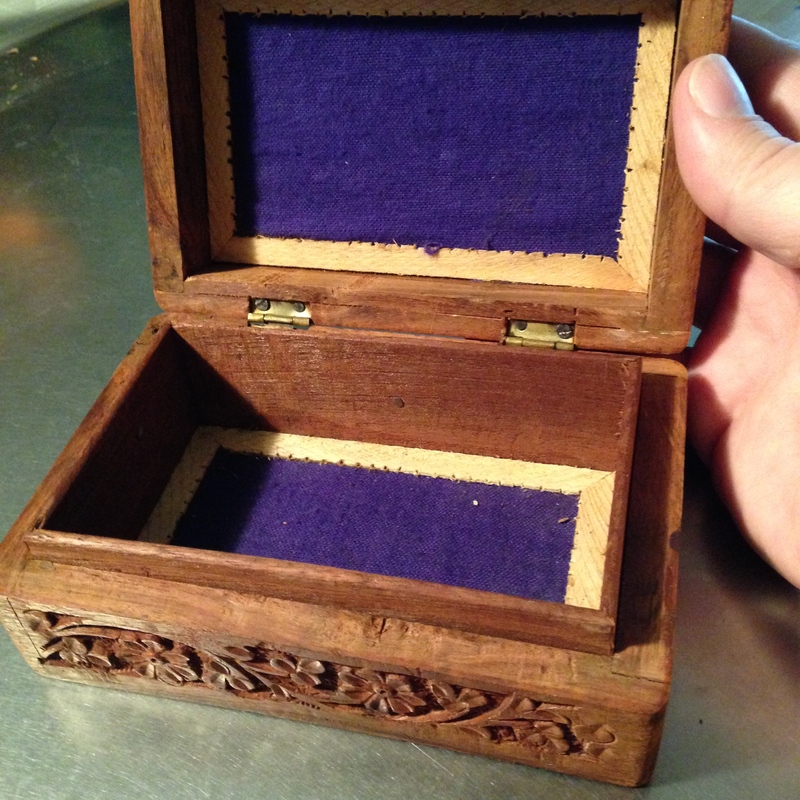 It’s nearly 10 years old, and it’s the very lifeline to his modest income. And there’s yet another concern—his home is without air conditioning. John has lived without it for years without complaint, but as he’s wont to do, he’s more concerned about the ill effects this extraordinary heat is having on his cats. Counting every penny, (and knowing that he ultimately needs them both) he’s trying to decide which appliance he needs to save toward first. Those of you who’ve already sent donations, I thank you again from the proverbial bottom of my heart. 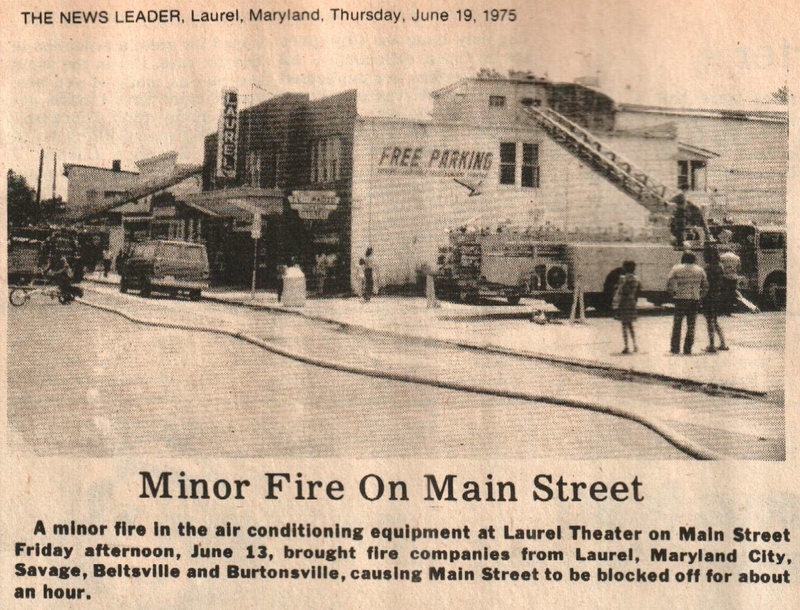 I hope you realize what a genuinely good deed you’ve done, and how your contribution didn’t merely go to some faceless charitable organization, (not that there’s anything wrong with that) but to a real human being—a good man who’s lived right here in Laurel for some 50 years; a man who’s fought fires with the Laurel Volunteer Fire Department, marches in our civic parades, and who knows and appreciates the town’s history—and residents—like few others. If you’re able to spare even a bit, I assure you it’s going to a very good cause. I’ve got a bunch more Delaney’s menus available for anyone who donates $25 or more, but please remember that you don’t have to give in the double or triple digits to really help John out! Instead of buying that cup of coffee from Starbucks today, or downloading that new song or iPhone app, please consider sending even a dollar or two to John Floyd—literally every bit helps. There’s no deadline or minimum donation to worry about, and it only takes a minute to send funds securely direct to John’s PayPal account. If I haven’t already made it abundantly clear, John is a one-of-a-kind friend who enjoys sharing his vast knowledge and resources of all things Laurel—the depth of which continues to surprise even me. 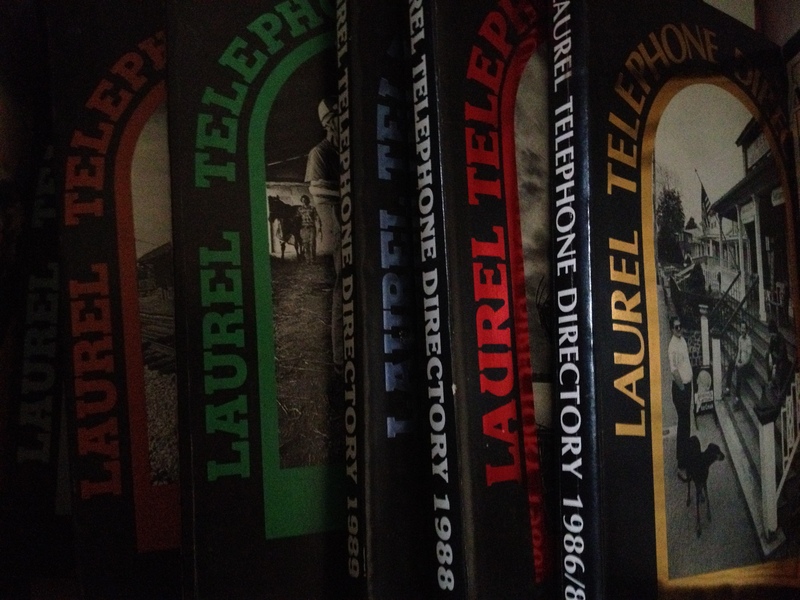 His most recent gift to Lost Laurel is one that I never thought I’d see again, and is proving to be an unprecedented aide in documenting Laurel’s retail history in the 1980s—nearly two dozen Laurel telephone directories dating back to 1986! 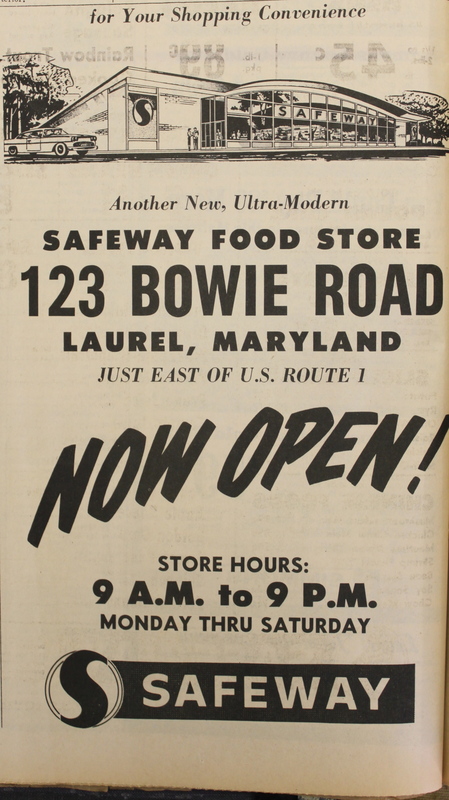 These include ads and listings for the mall and all of the shopping centers, making it easier to determine when various stores arrived in Laurel… and, of course, when they left. 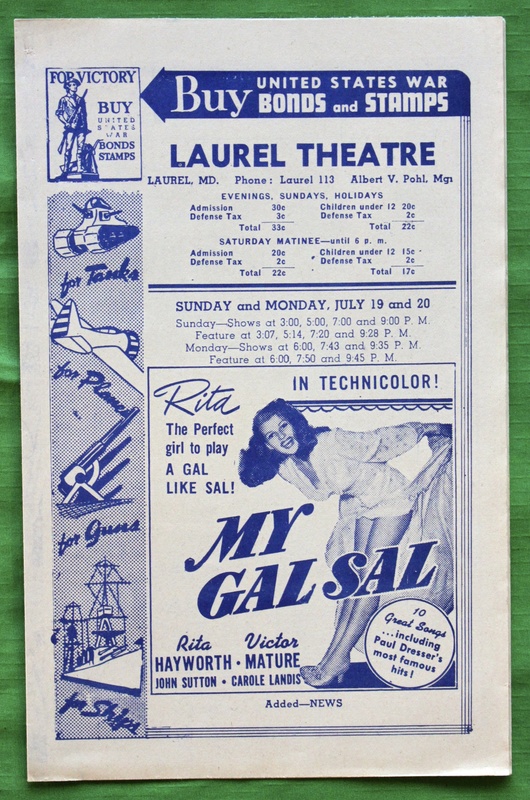 Not only are these books a treasure trove of dates and locations, they hold rare ads for places that didn’t typically run ads in the Laurel Leader—or anywhere else. 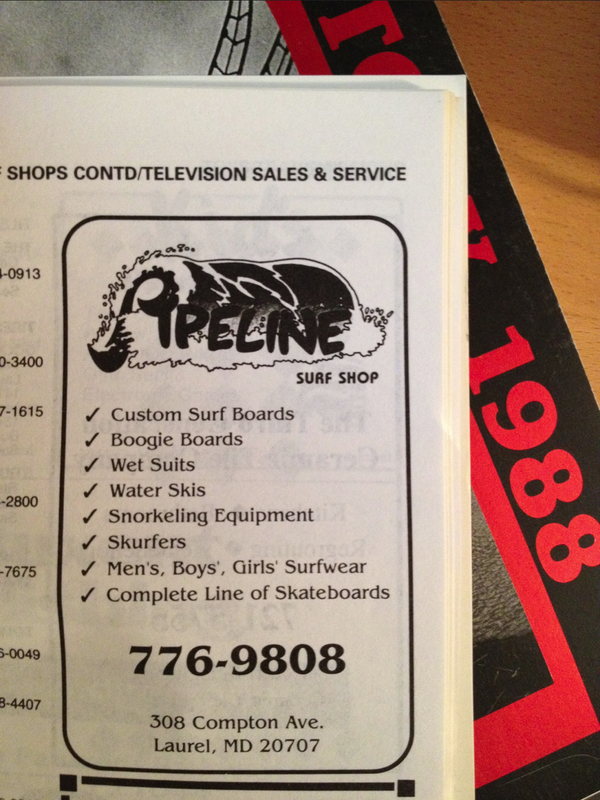 Places like Pipeline Surf Shop, which from 1989–90, shared space with the legendary Bikes Plus at 308 Compton Ave. Yes, I realize it’s a bit odd to get excited about inheriting a shelf of obsolete phone books. But from a historian’s perspective, I assure you it’s quite awesome. The library doesn’t even have these anymore. 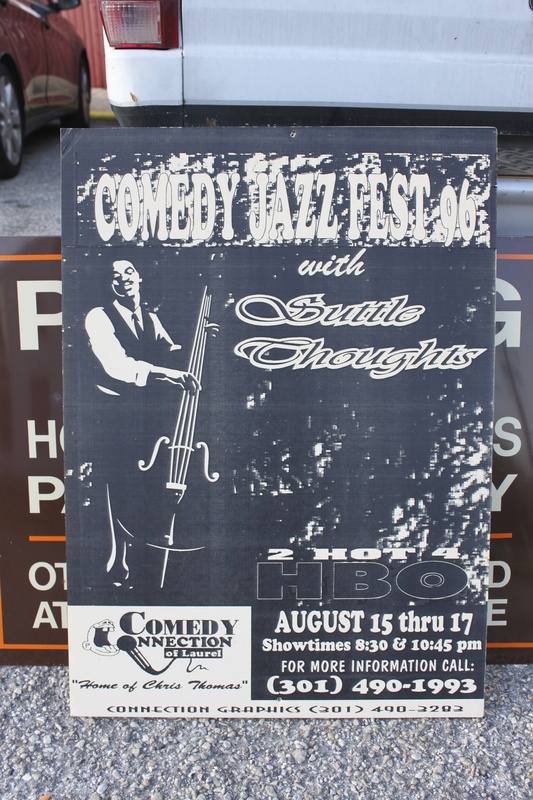 Moreover, they’ll provide me with an ample supply of blog and Facebook updates in the weeks, months, and years to come. • If the taxes aren’t paid, the government auctions the lien to investors. Past investors include JPMorgan Chase, Bank of America and people who respond to Internet get-rich schemes, the report said. Homes typically are sold at steep discounts. • For a limited time, the homeowner may buy back the home by paying to the investors the purchase price of the lien, plus interest, fees and other costs. That’s possible because investors haven’t bought the home itself _ they have purchased the tax lien, which gives them the right to seize the home later. • If the owner fails to pay all the costs, investors can sell the home at a big profit compared with the cost of buying the tax lien. Kudos to WTOP for shining a light on this, and hopefully enough voices will be heard to convince local governments to at least start making it easier for people—honest people like John who’ve fallen on tough times—to bring their payments up to date without the unnecessary threat of actually losing their homes. Many thanks again to you all—please keep the good will coming, and let’s make sure our friend John is securely back on his feet once and for all!